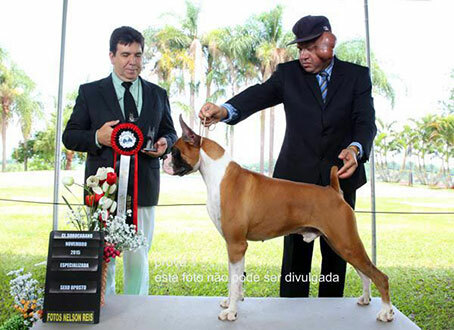 Brazilian Boxer National. And she was only 10 months old! 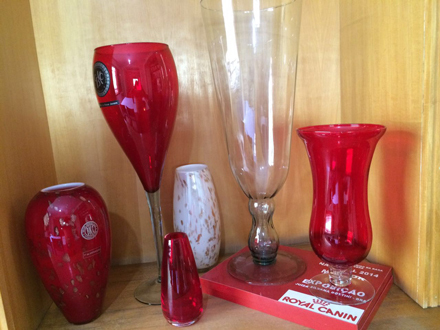 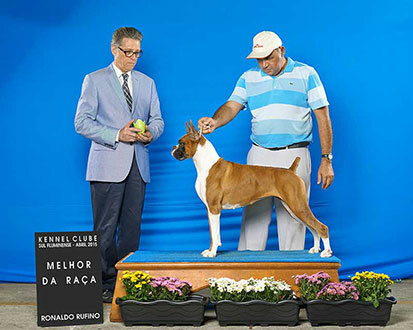 Thanks to Daniella Werneck who handled her to perfection!! 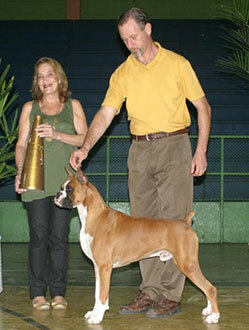 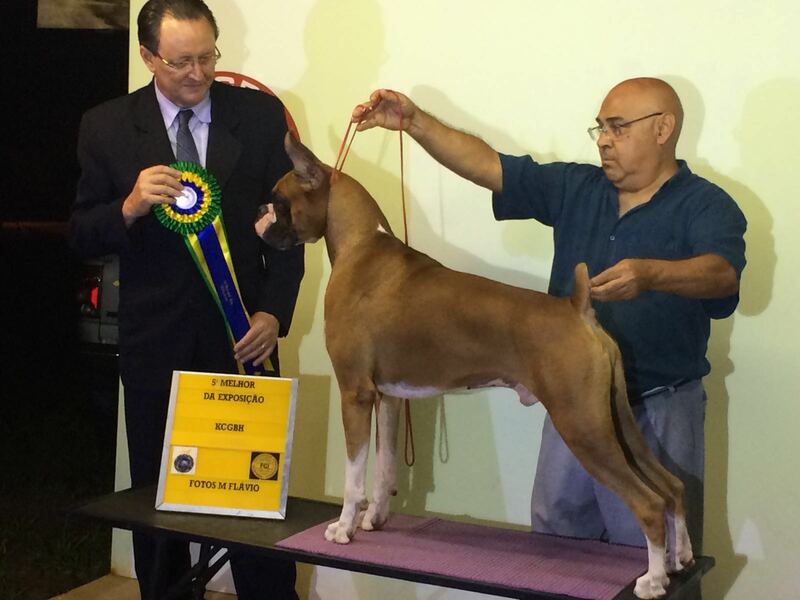 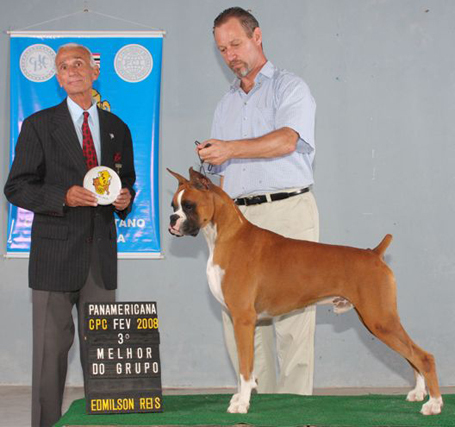 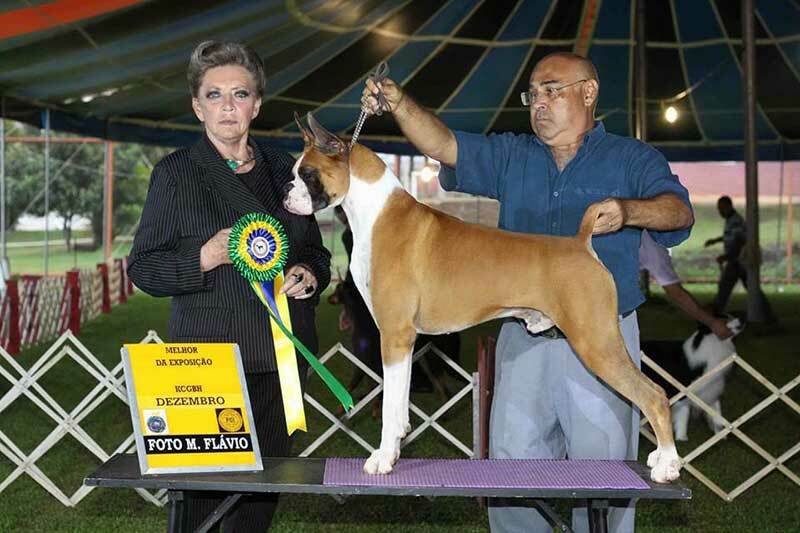 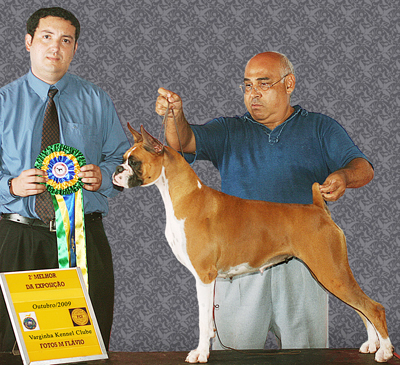 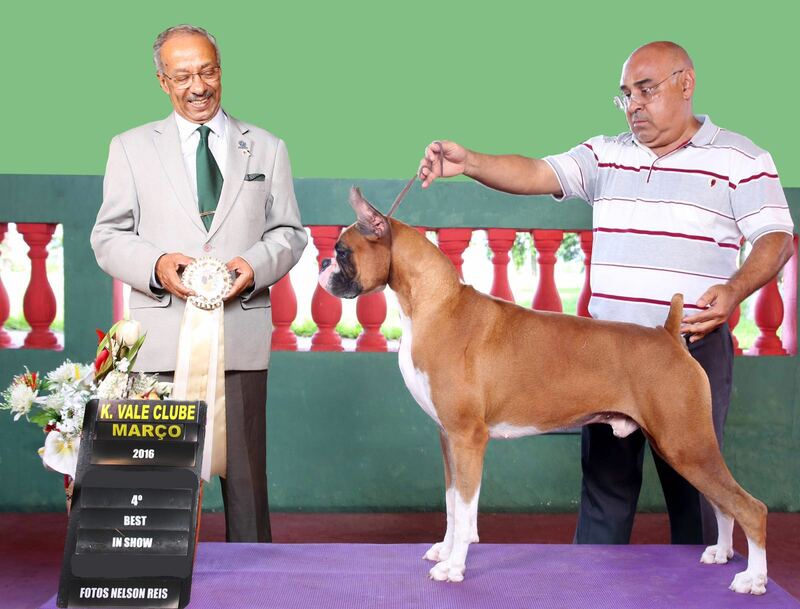 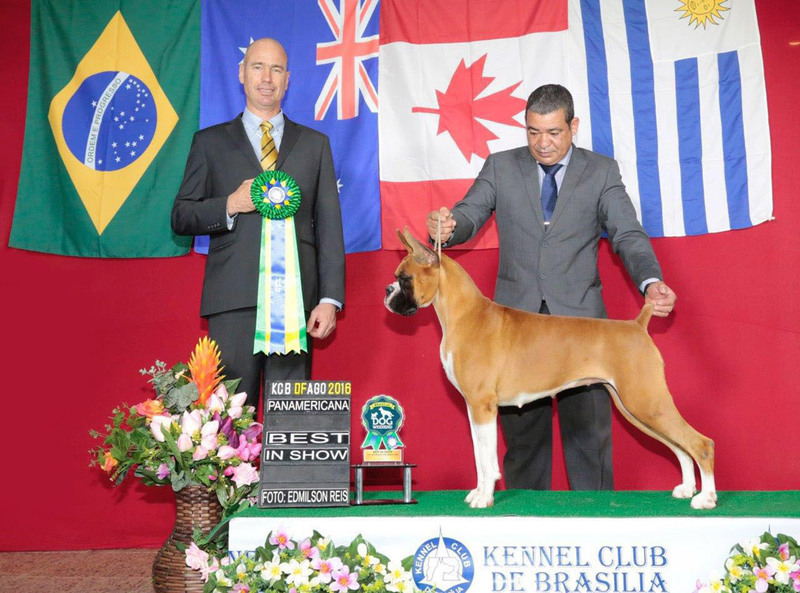 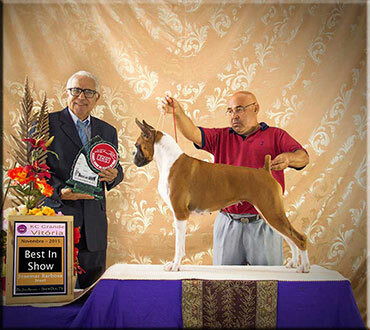 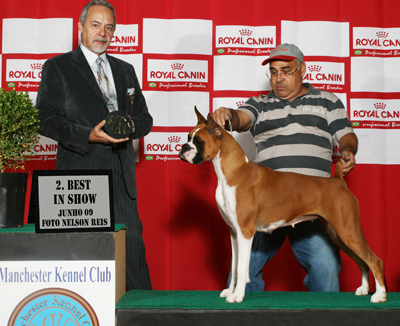 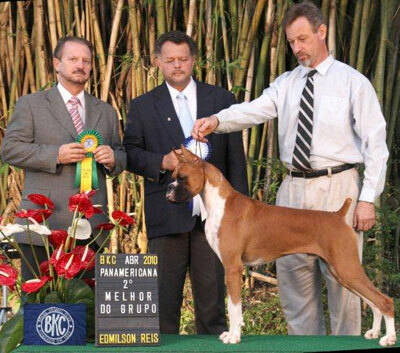 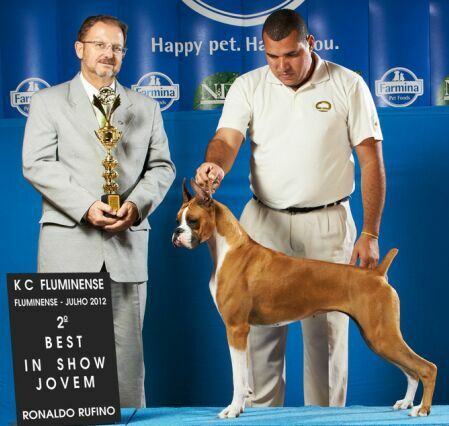 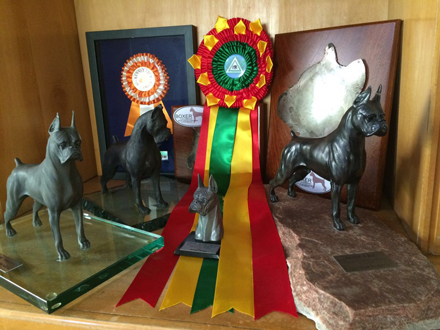 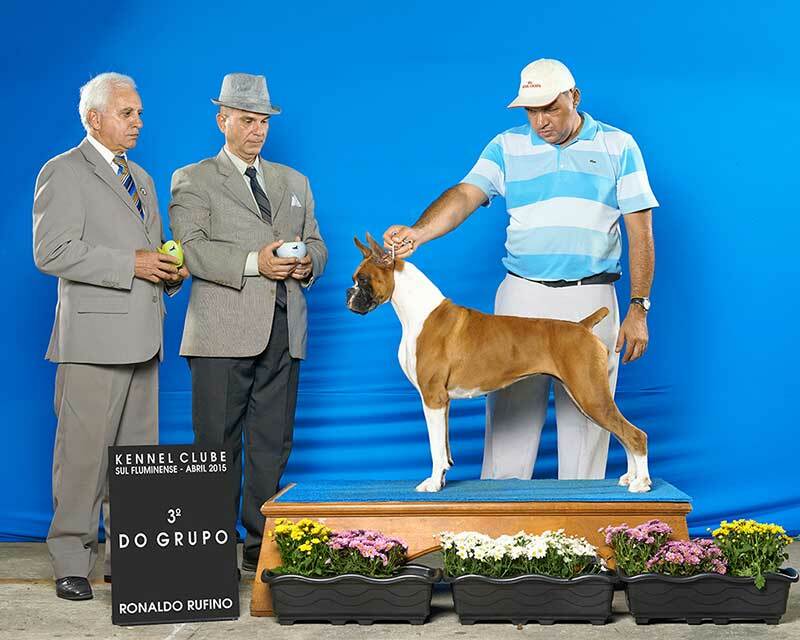 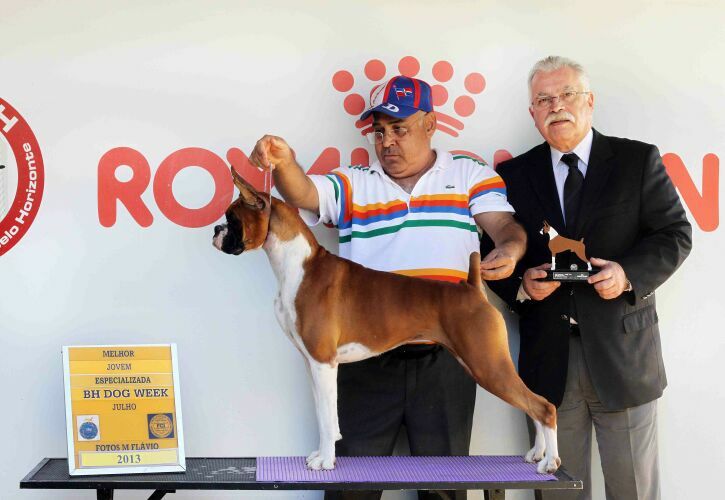 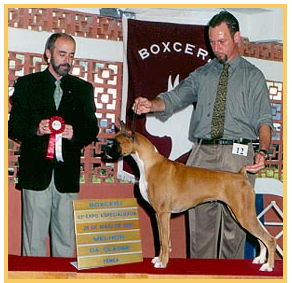 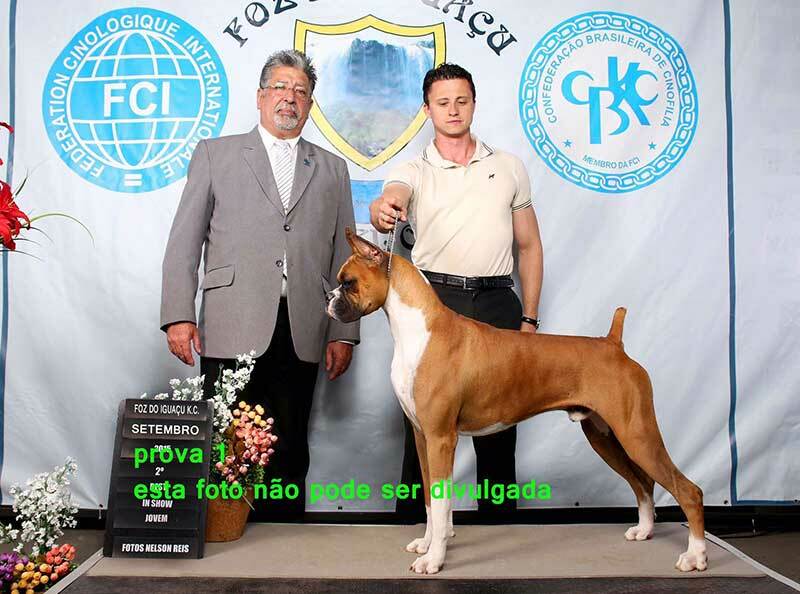 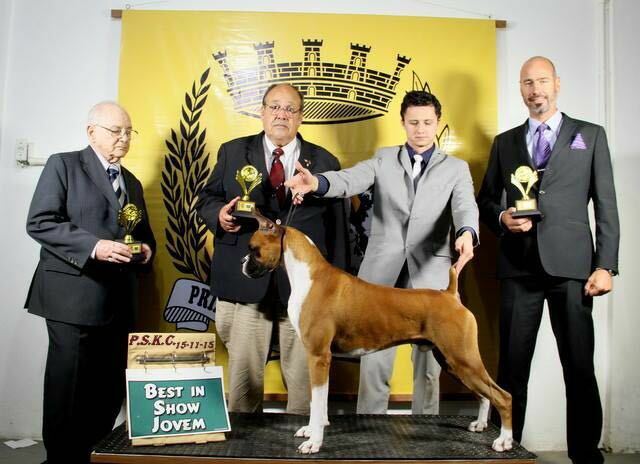 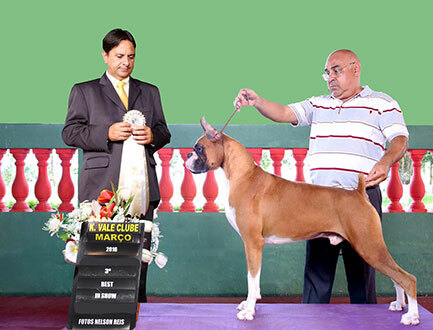 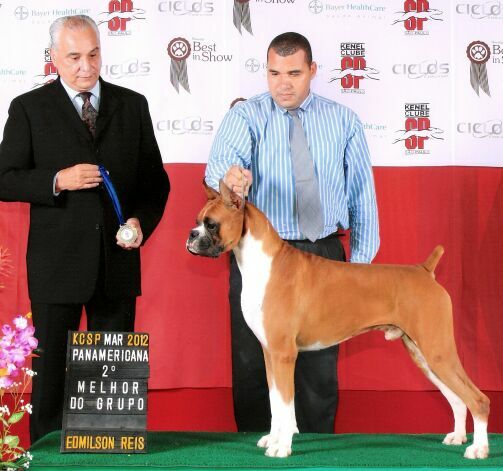 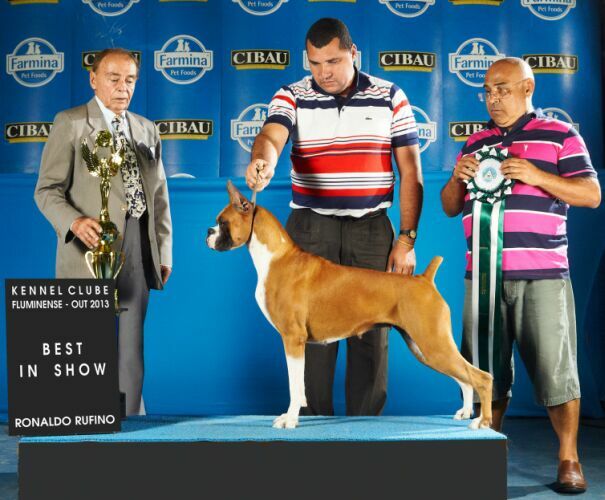 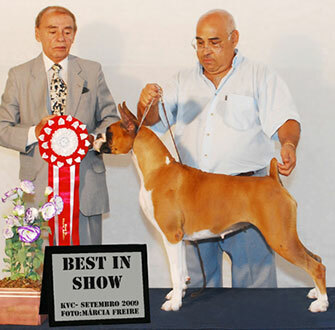 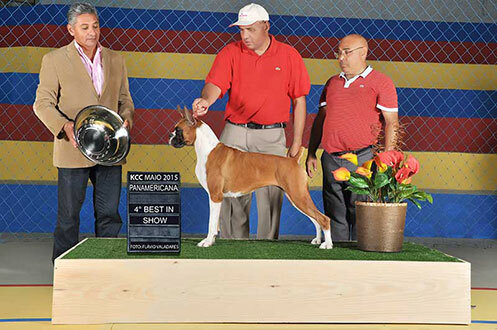 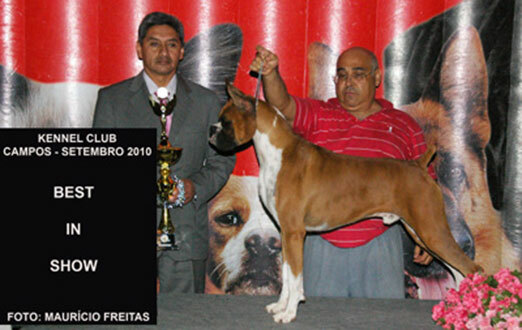 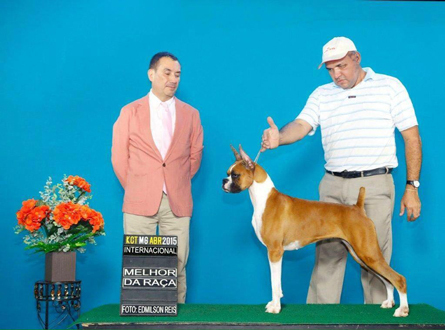 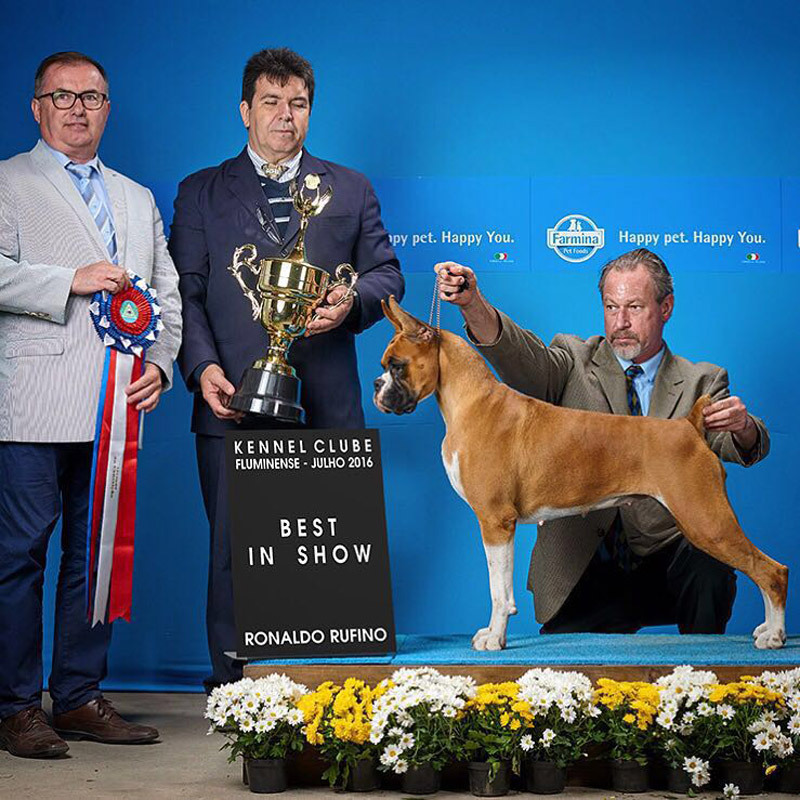 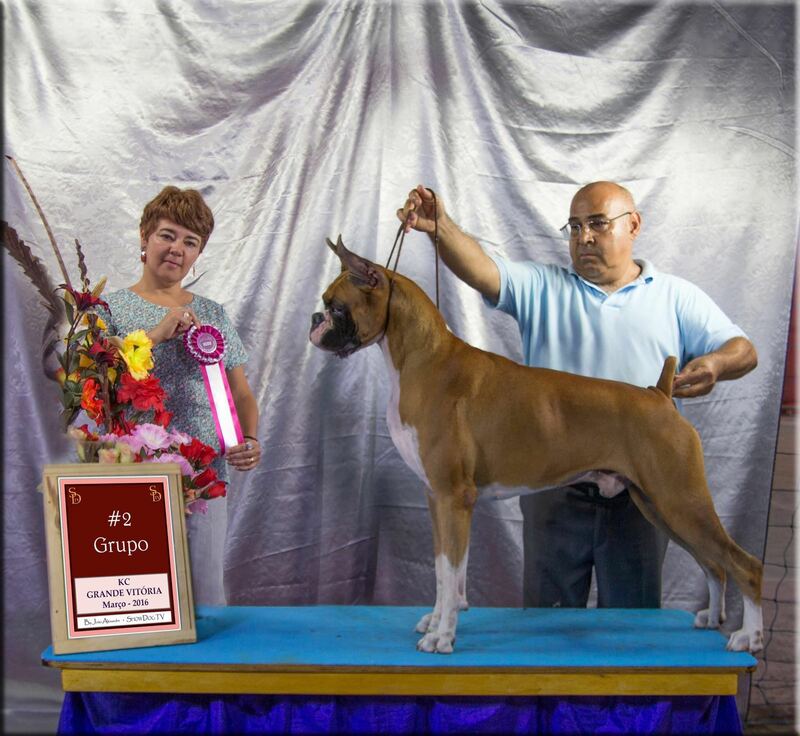 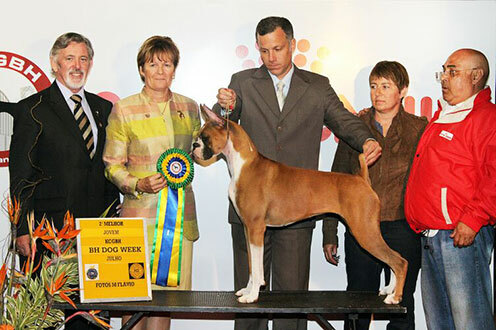 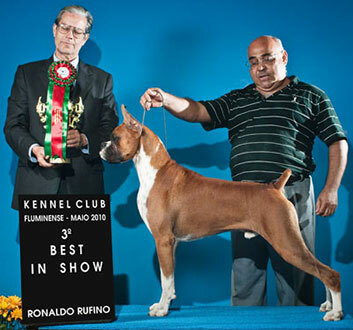 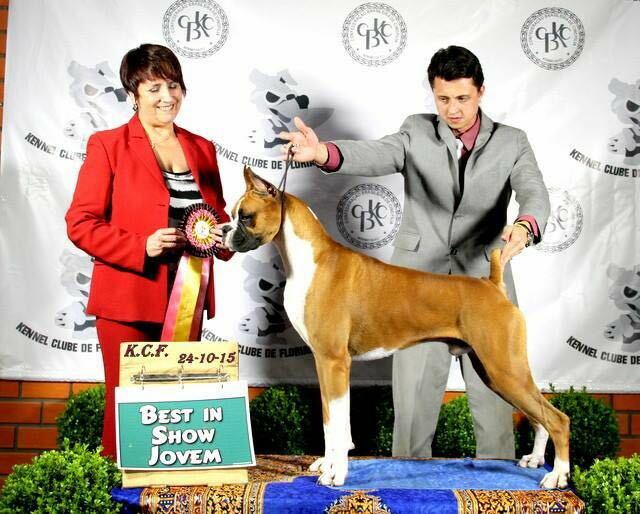 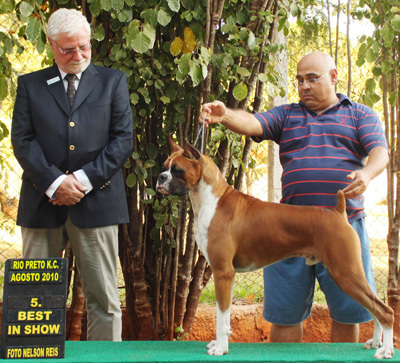 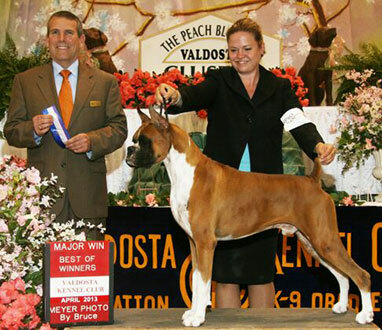 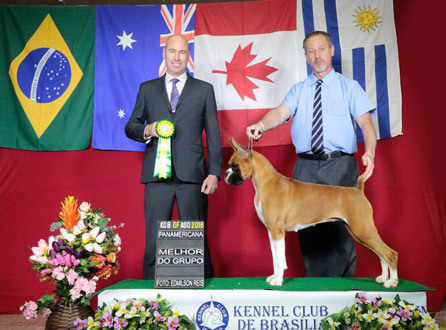 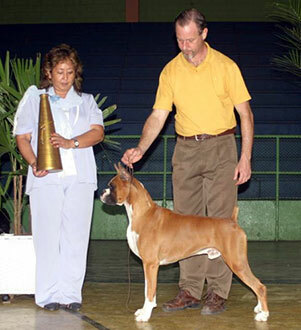 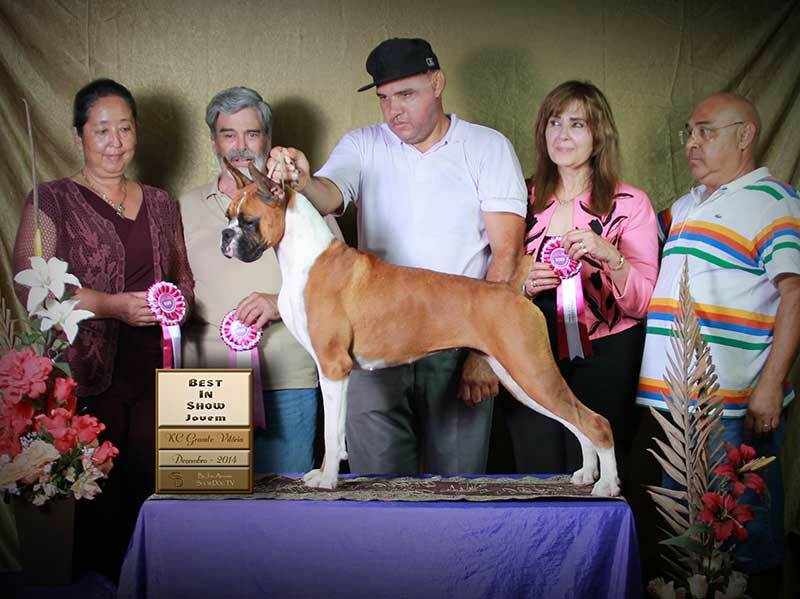 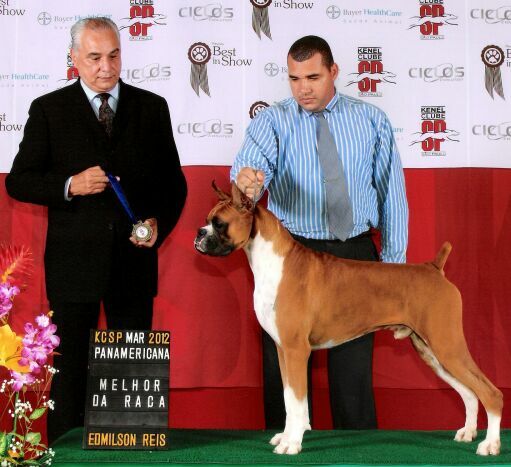 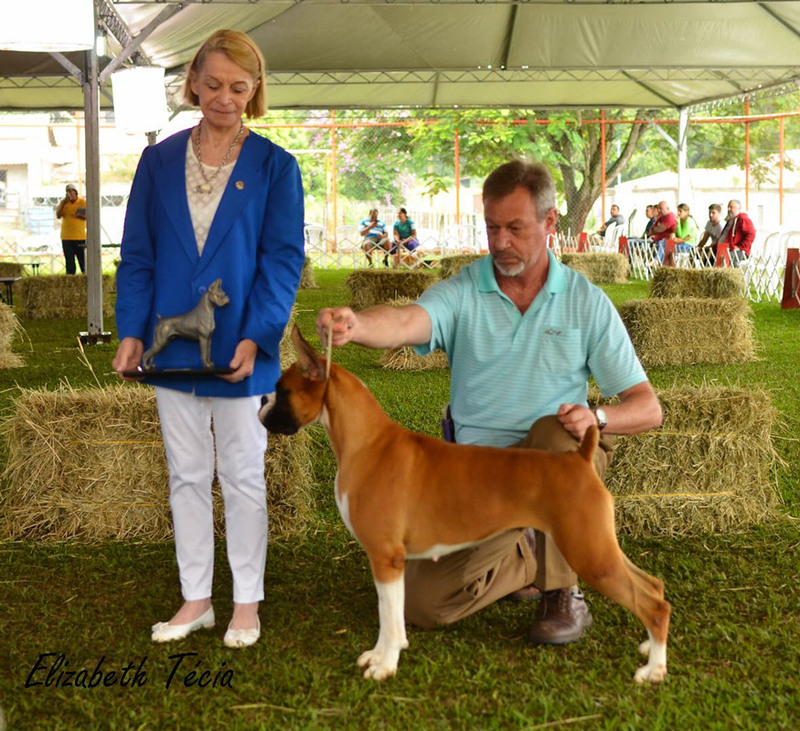 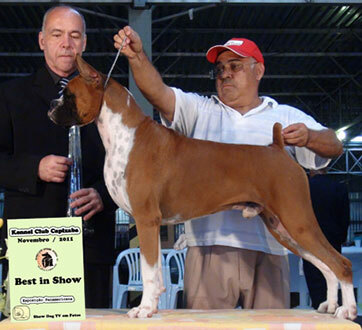 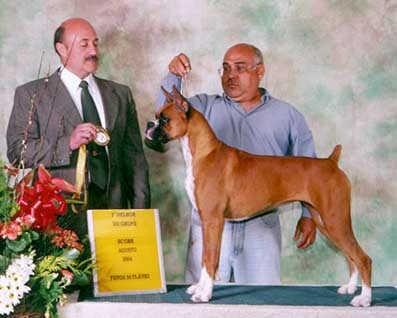 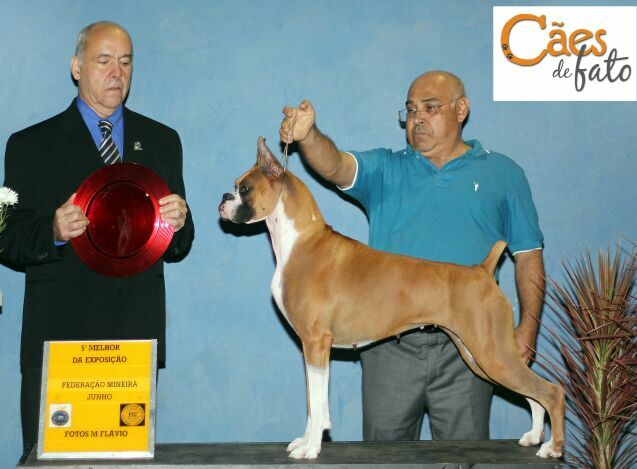 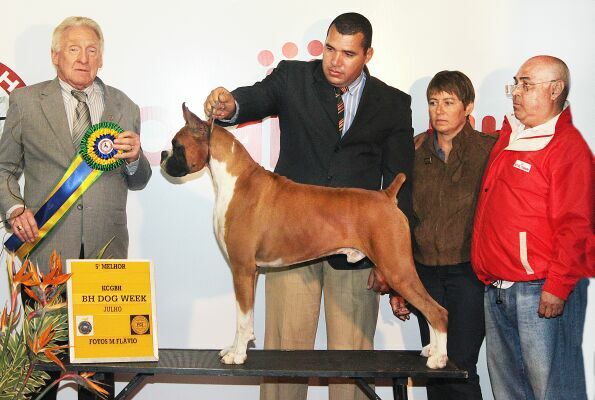 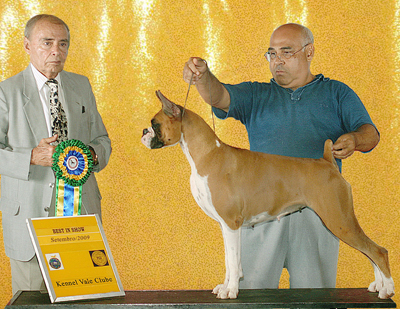 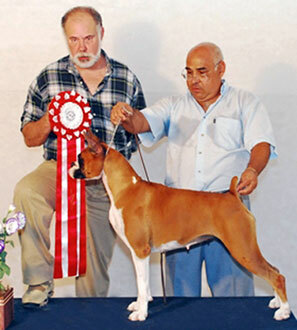 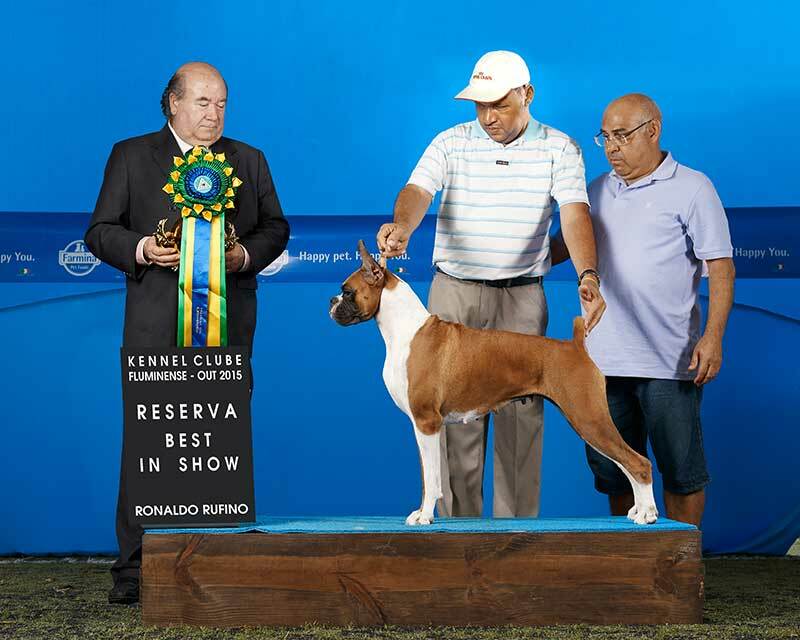 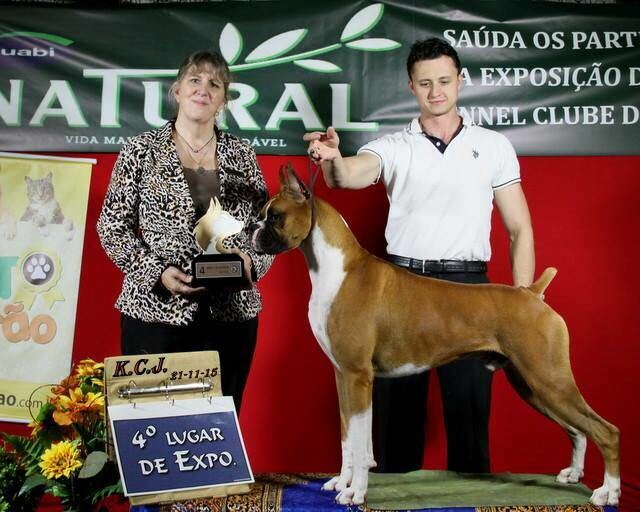 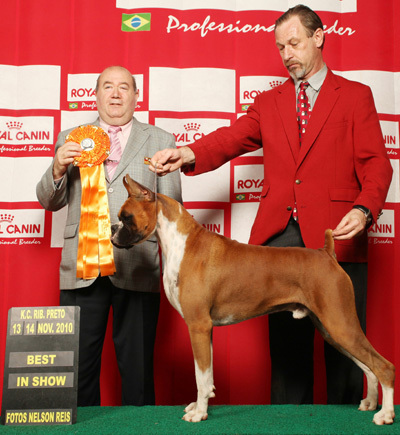 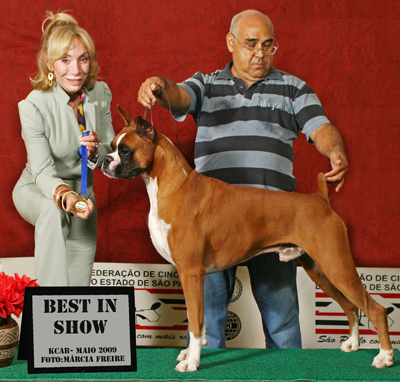 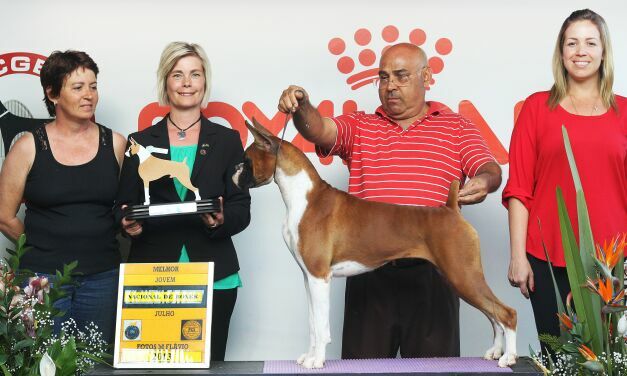 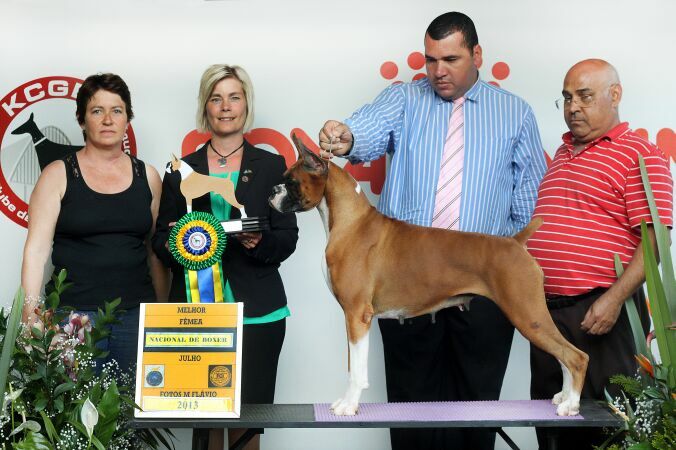 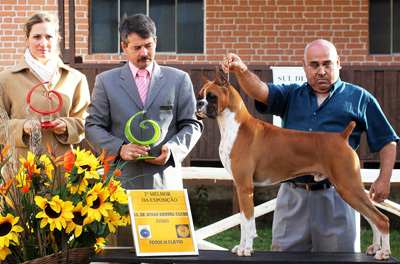 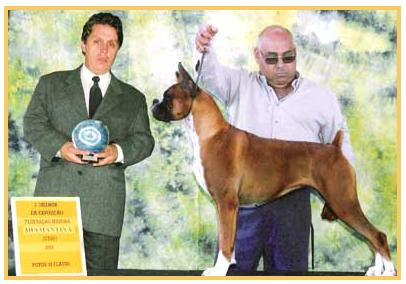 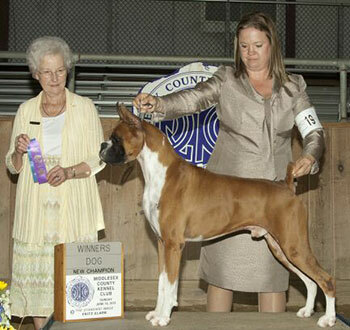 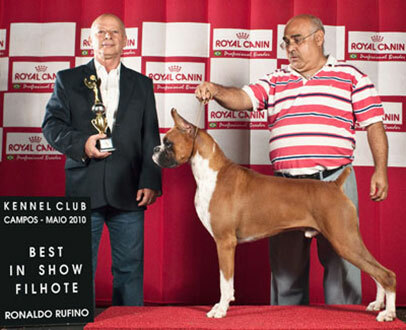 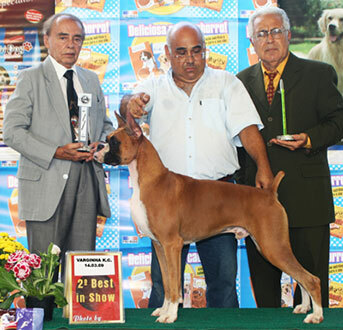 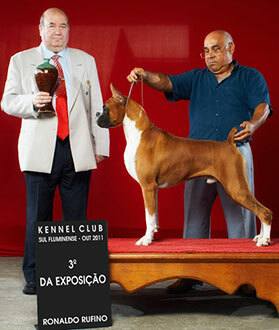 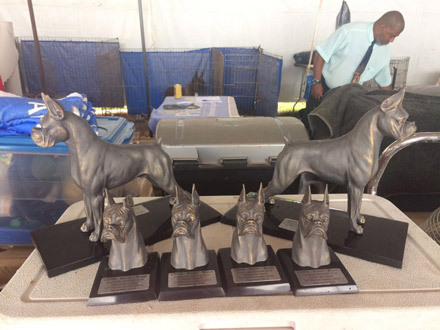 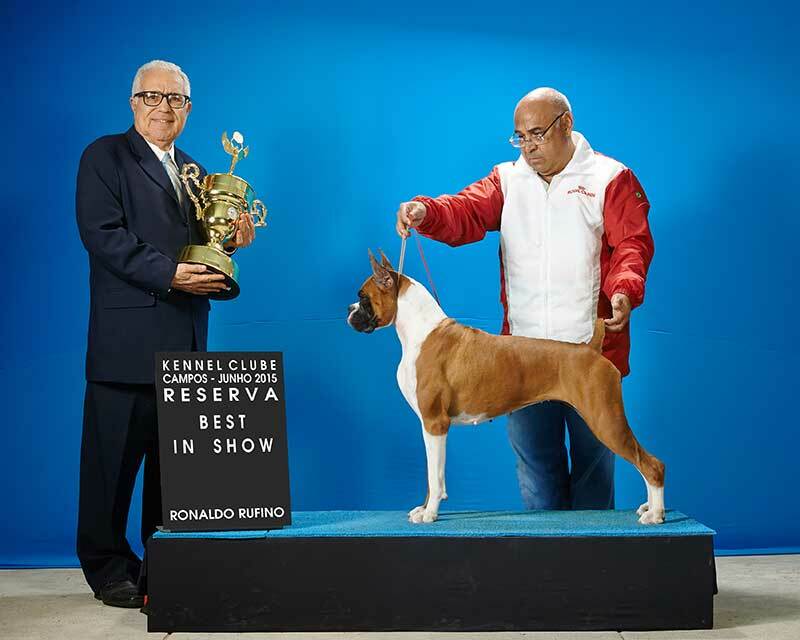 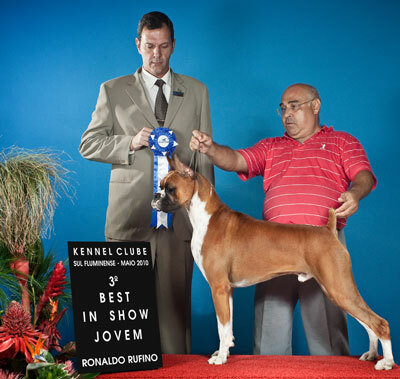 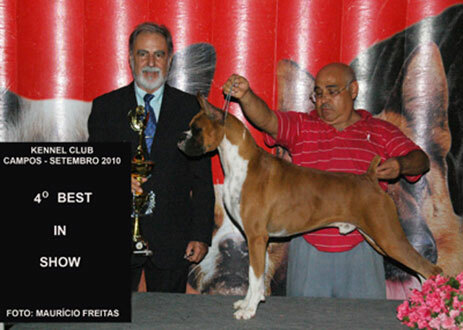 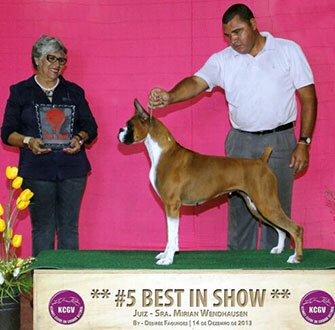 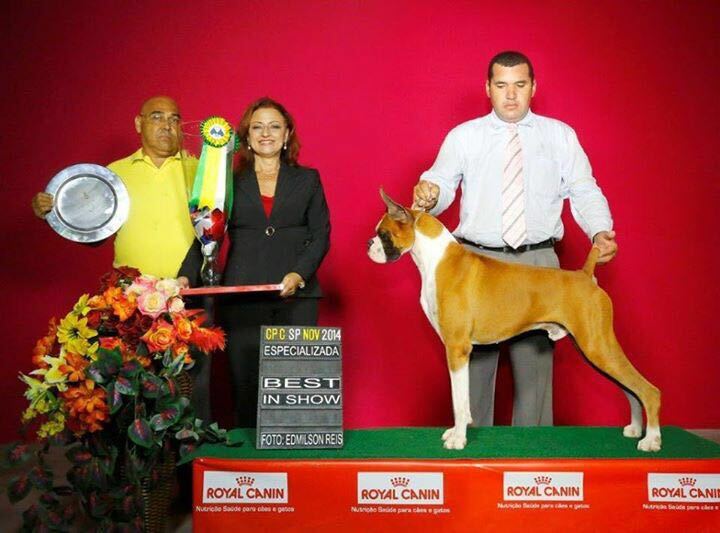 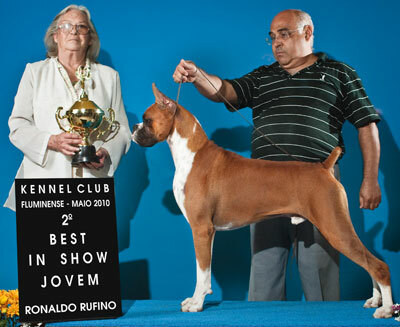 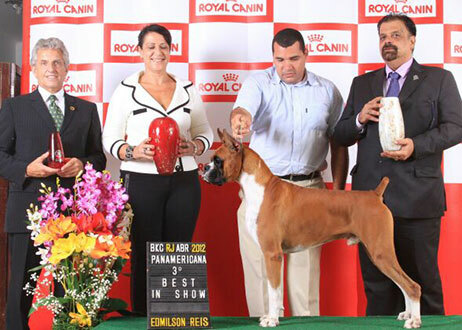 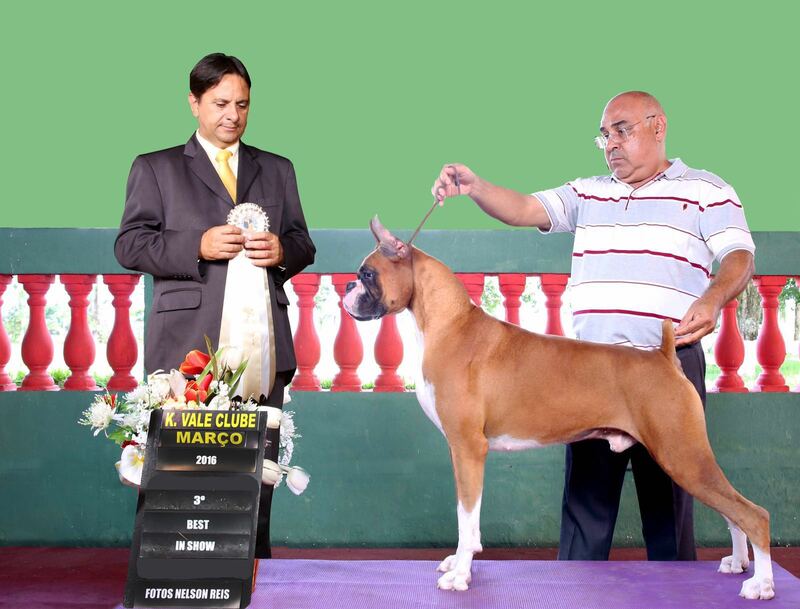 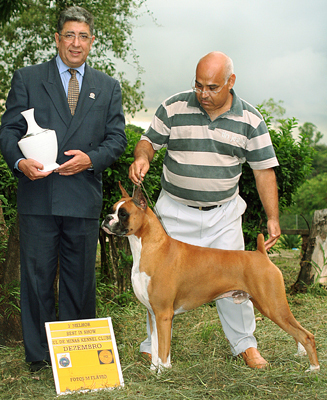 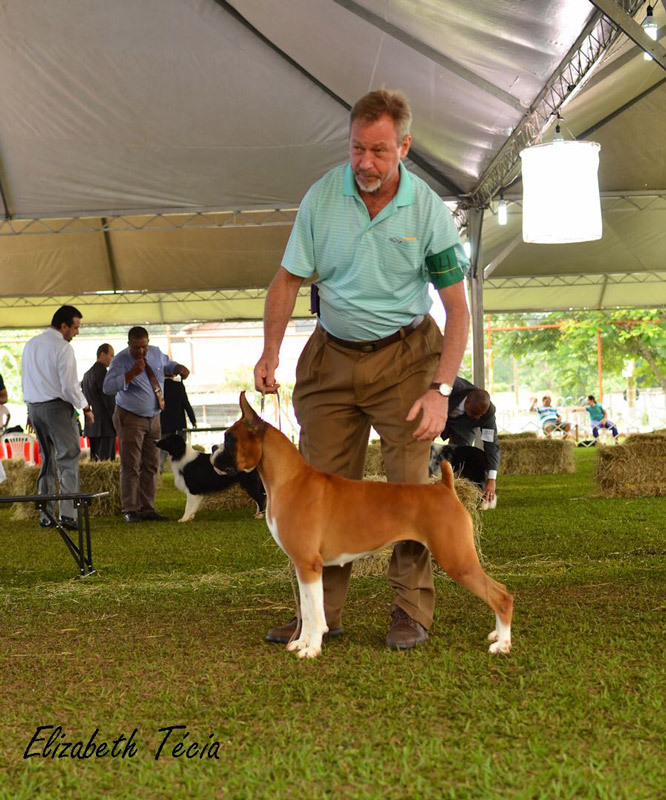 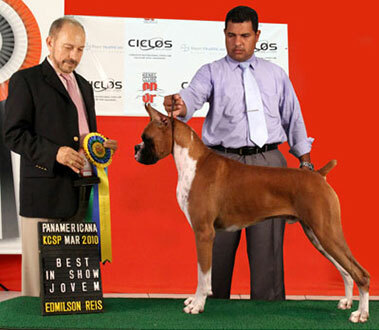 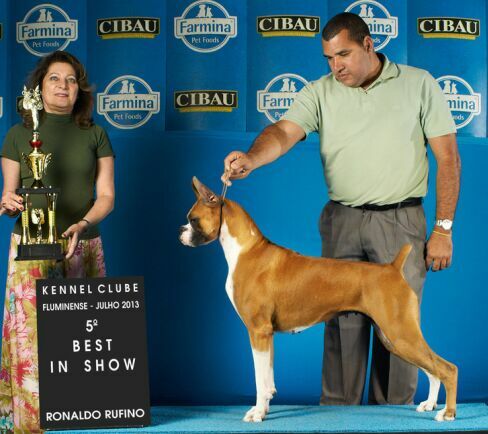 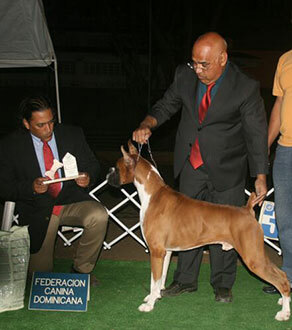 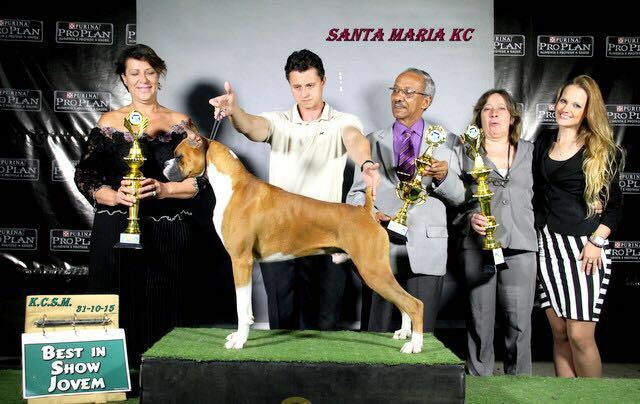 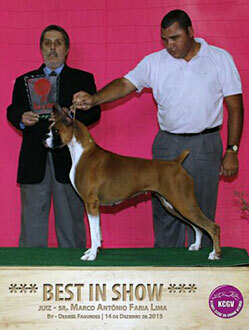 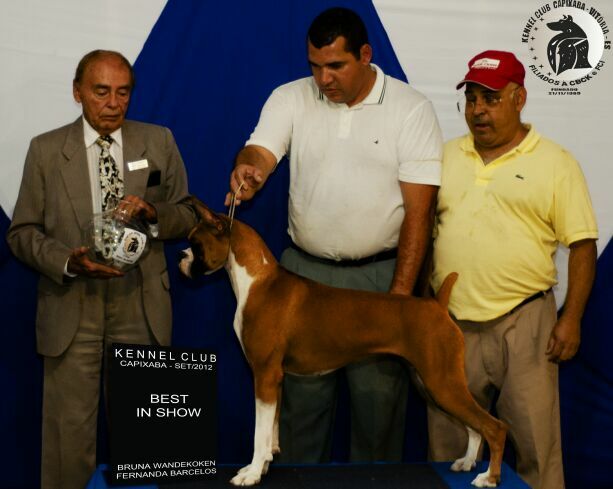 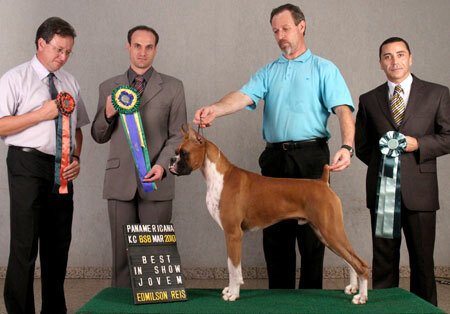 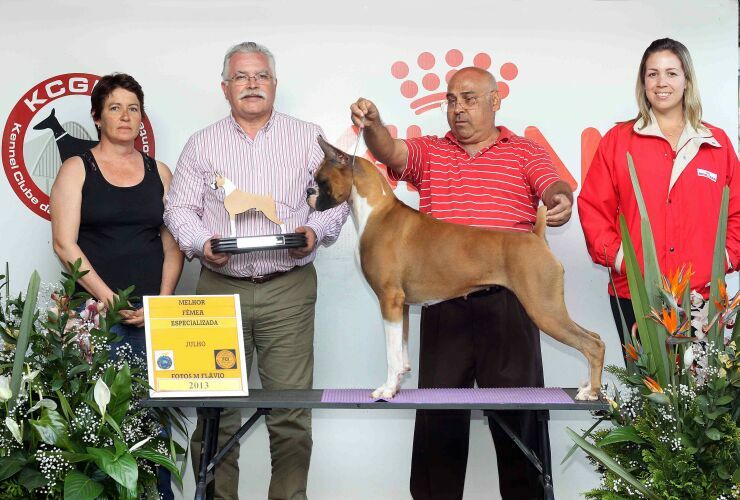 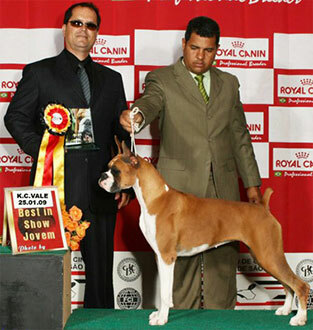 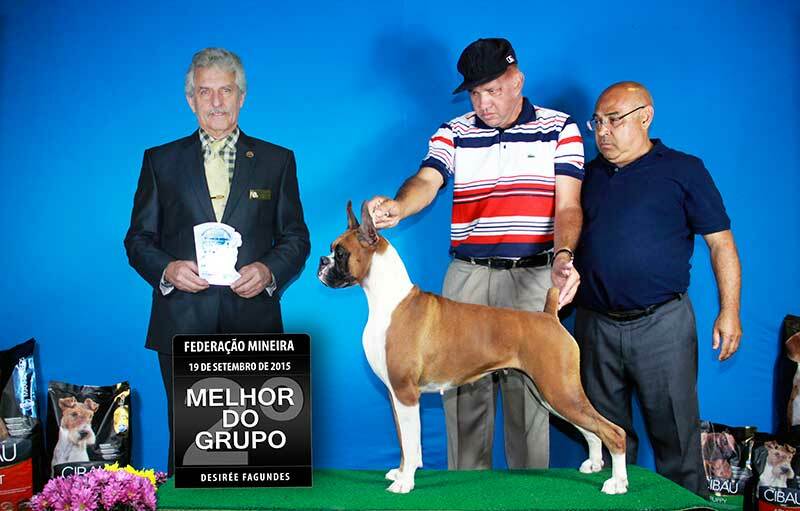 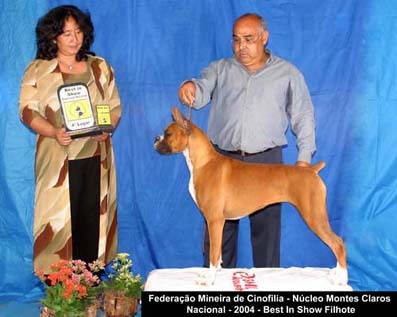 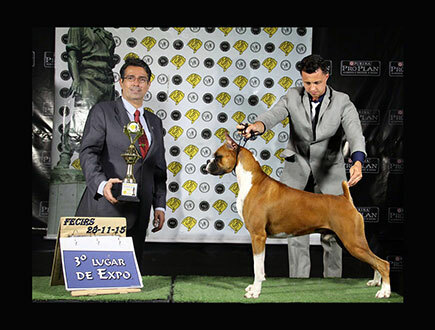 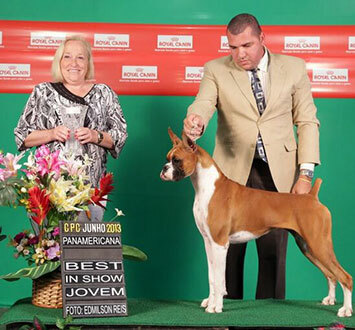 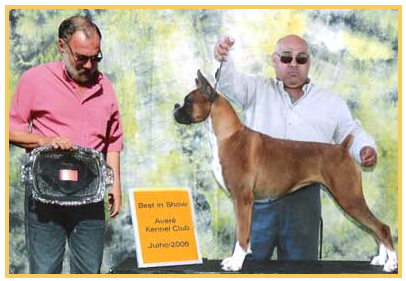 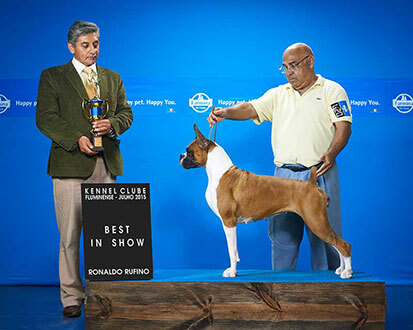 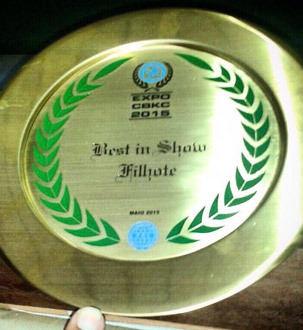 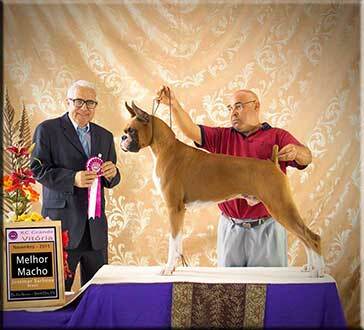 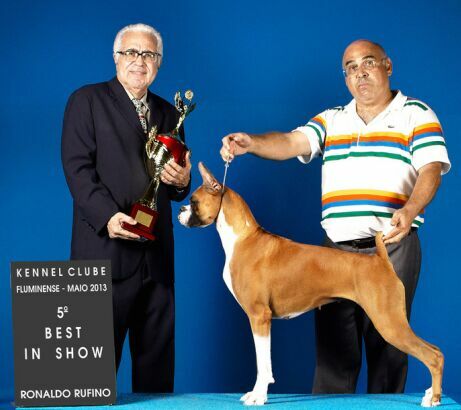 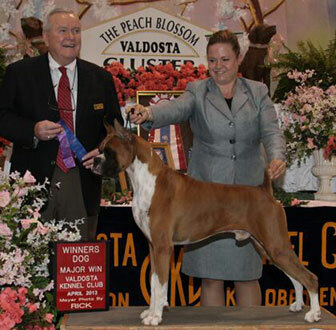 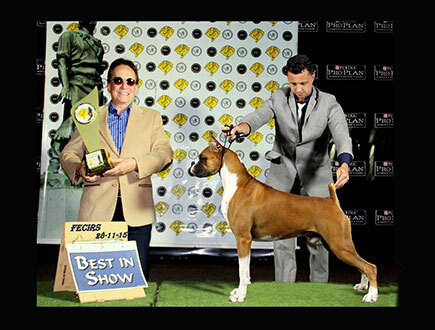 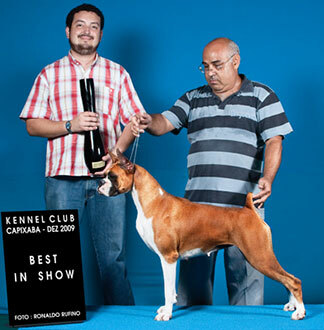 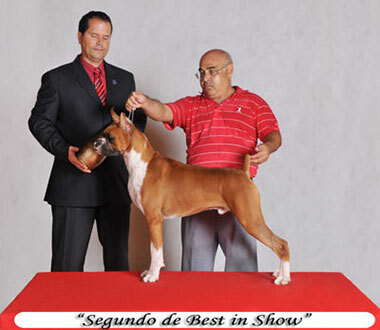 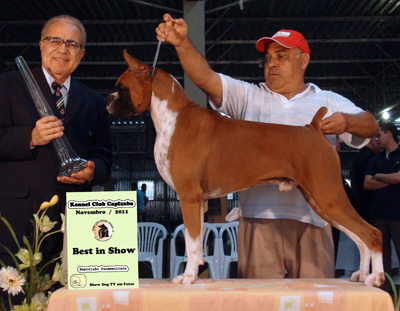 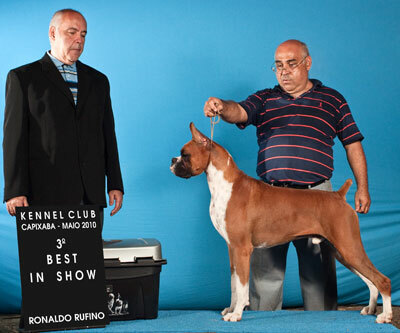 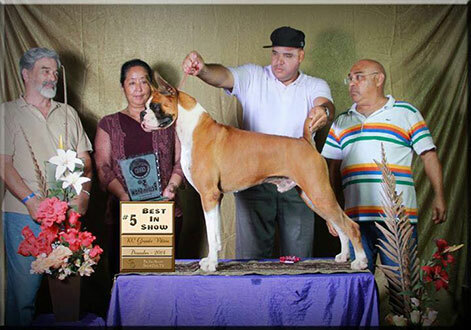 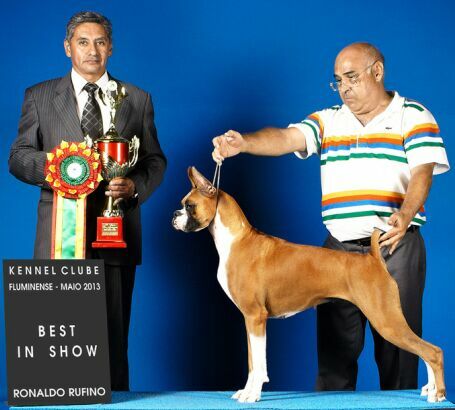 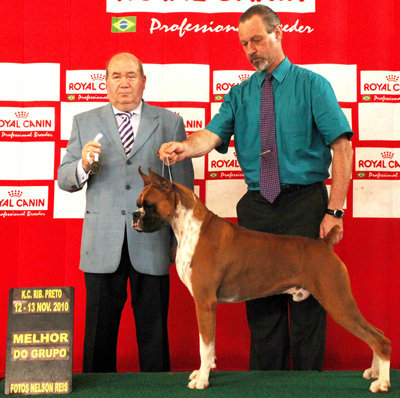 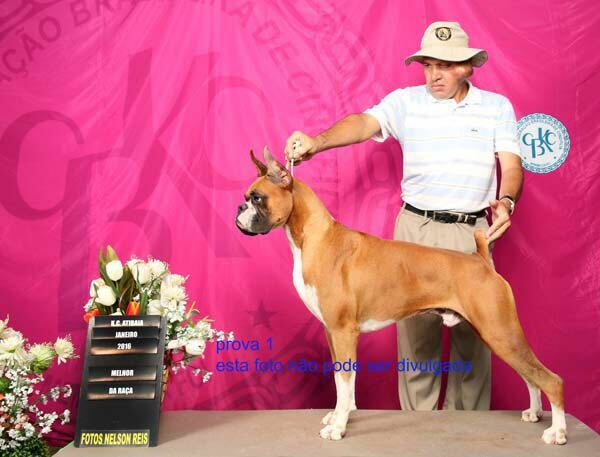 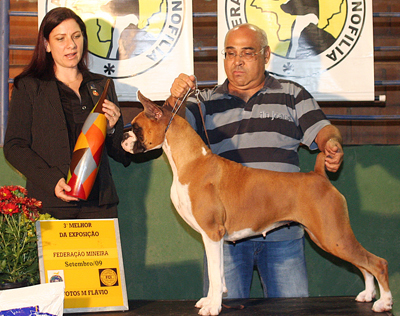 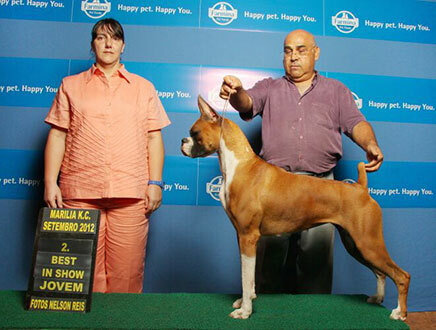 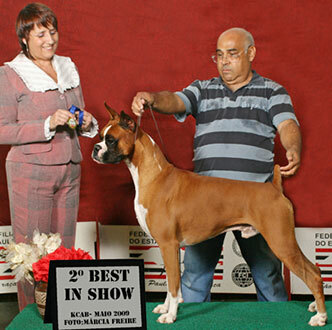 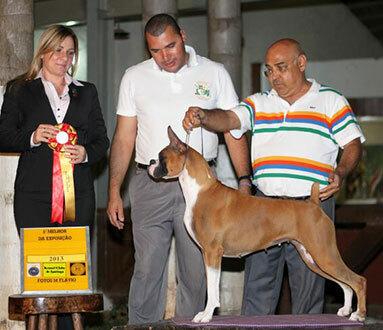 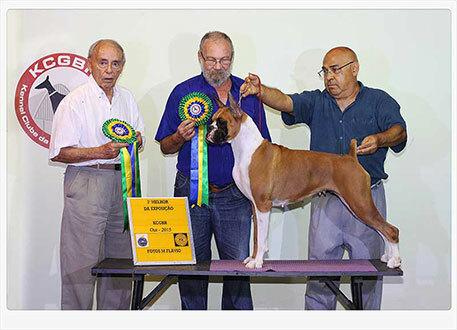 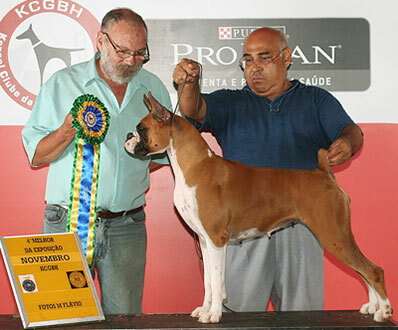 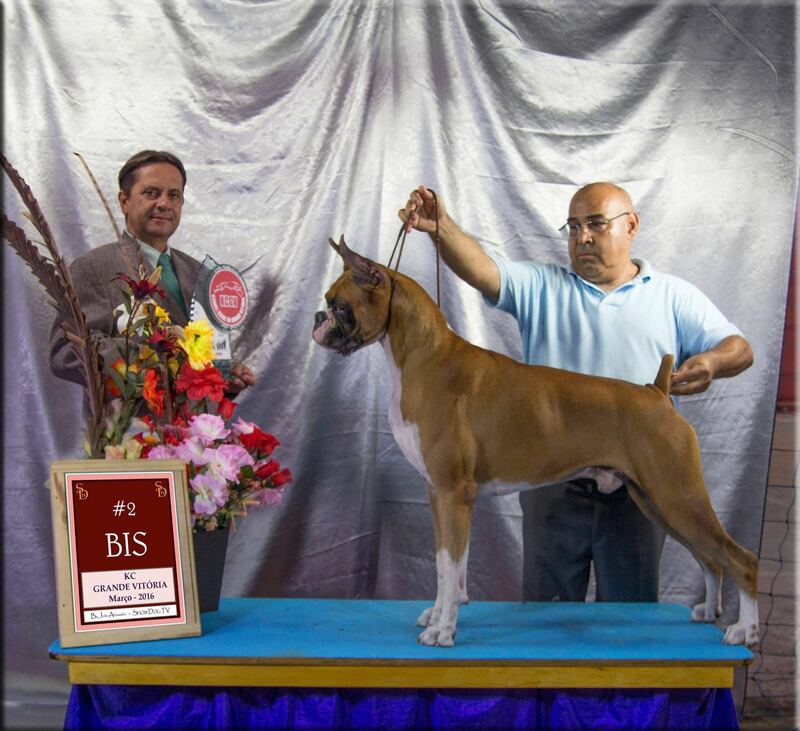 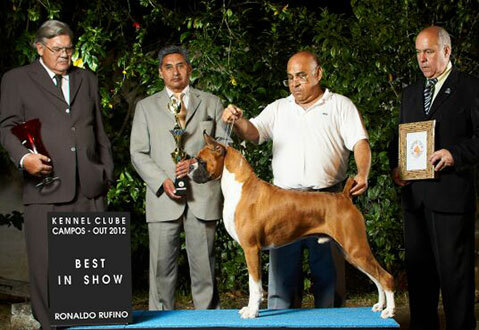 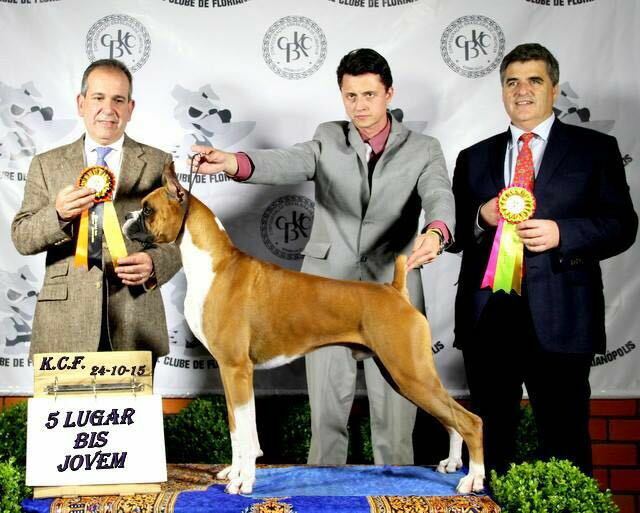 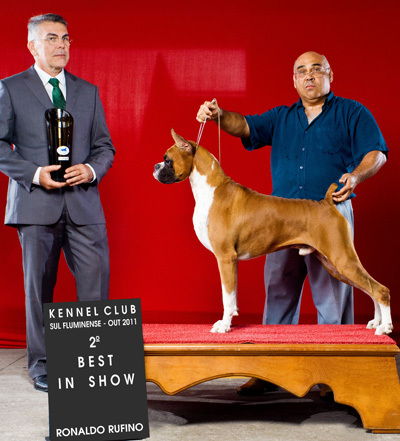 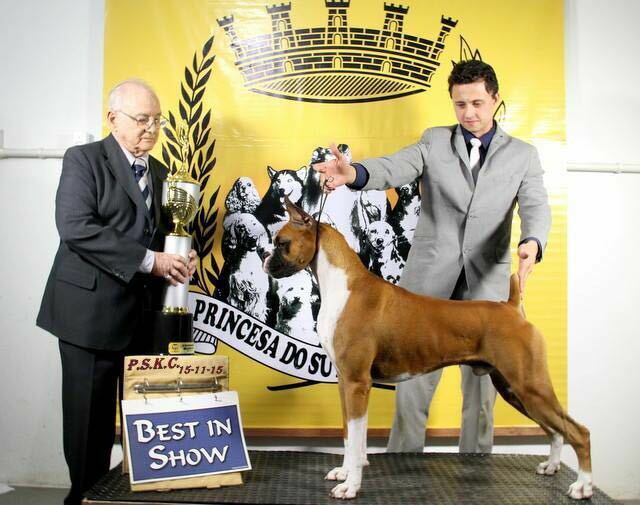 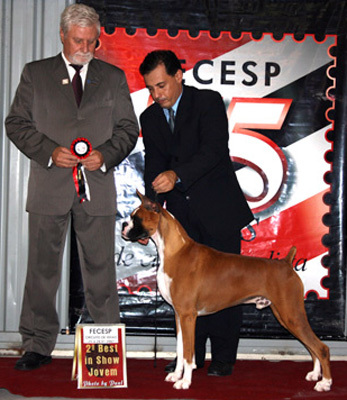 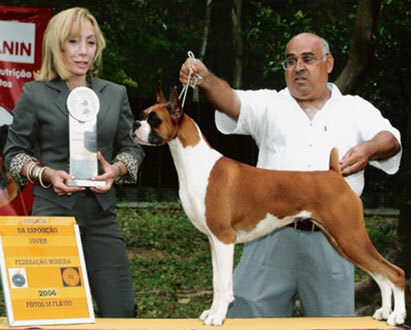 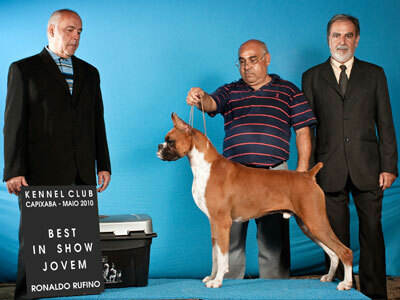 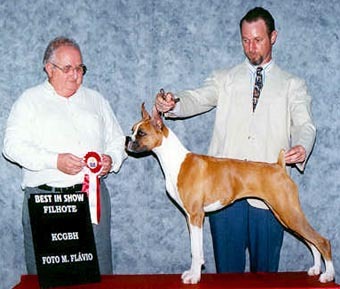 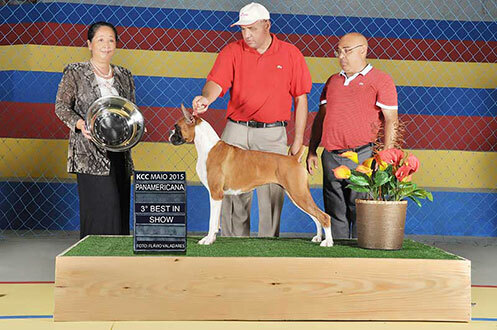 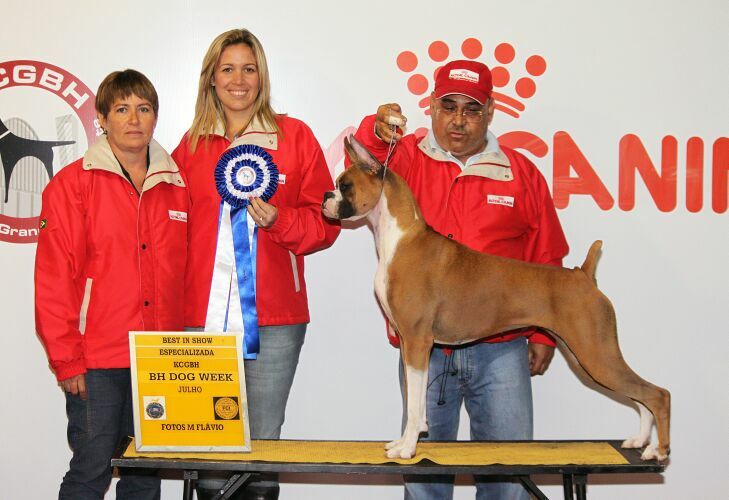 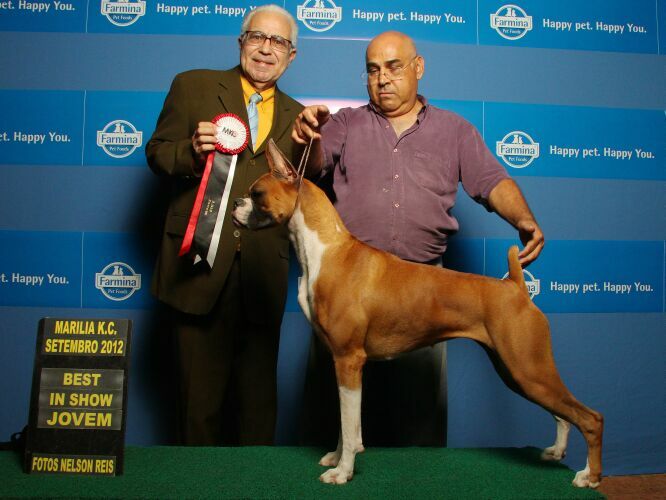 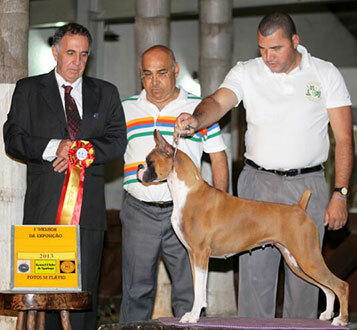 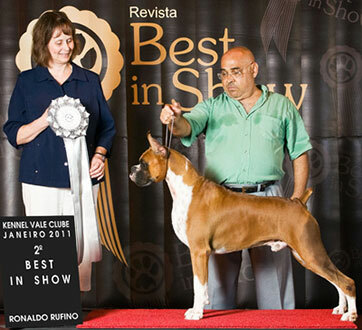 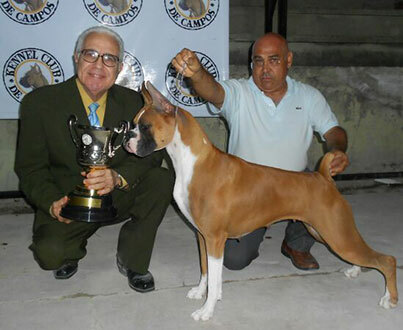 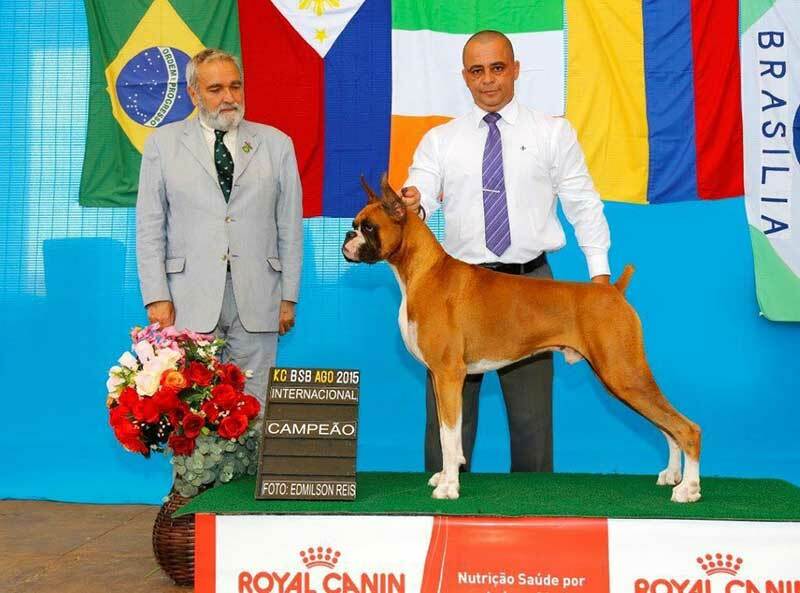 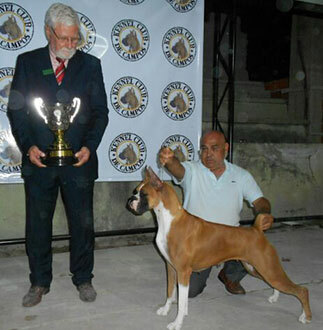 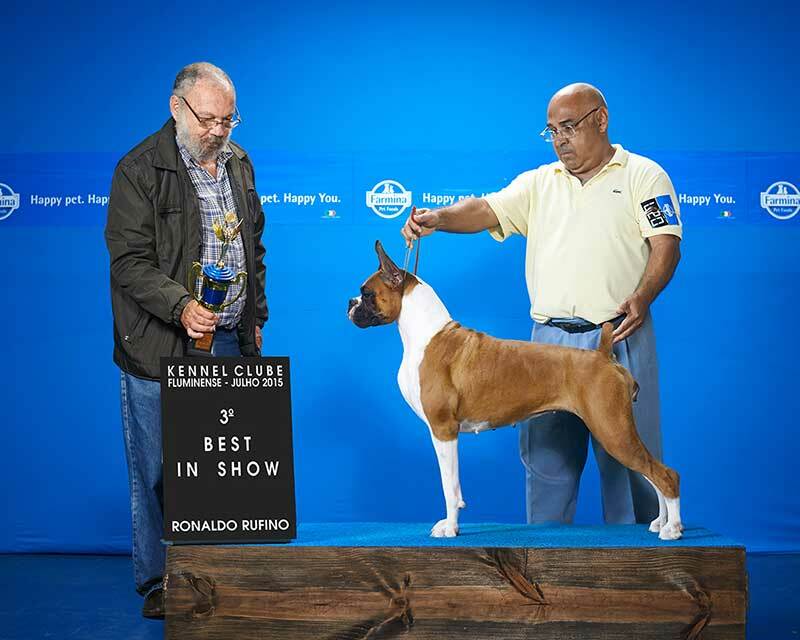 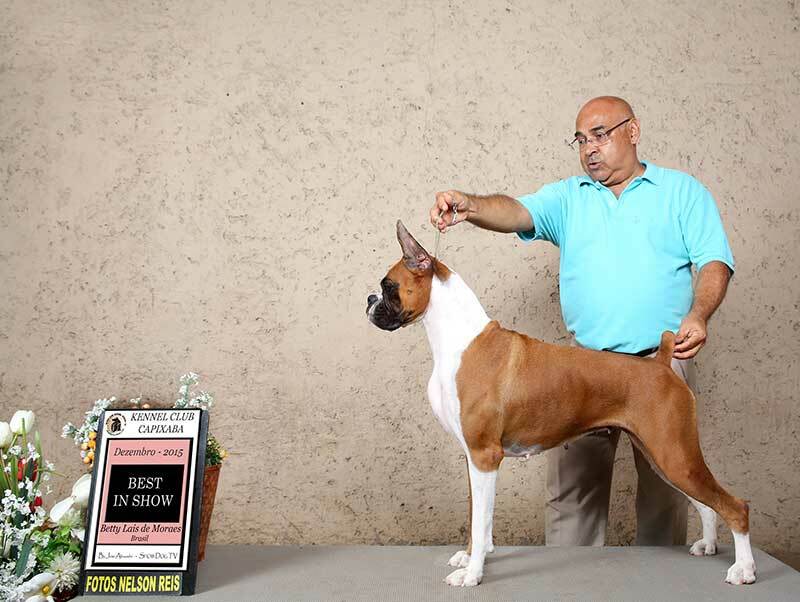 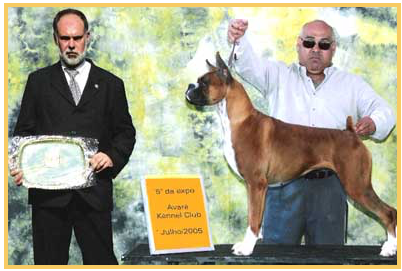 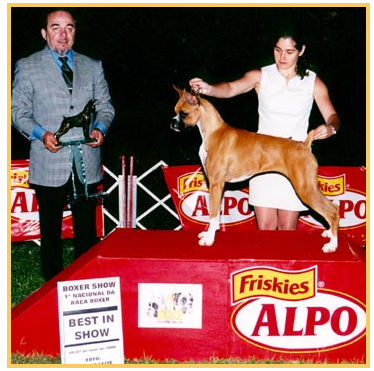 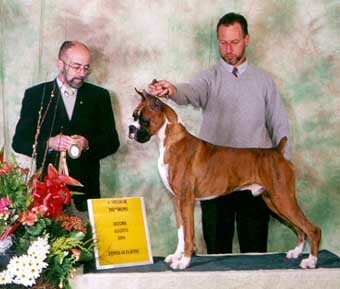 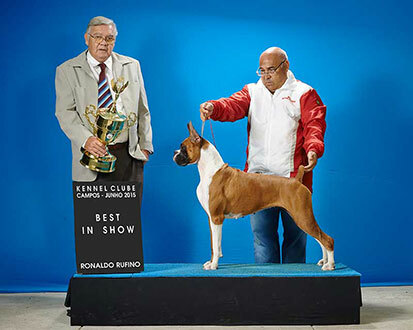 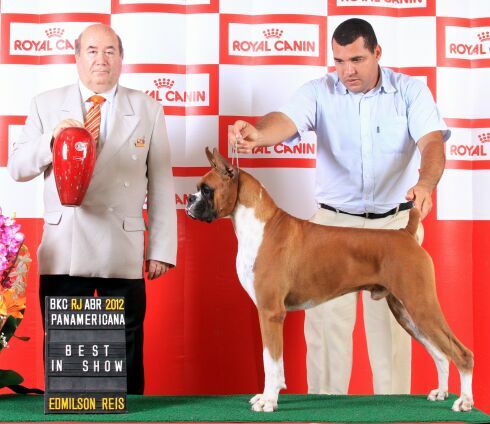 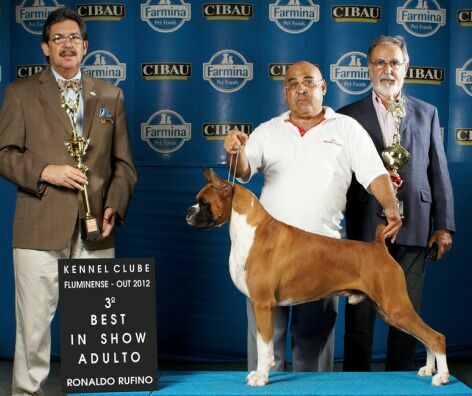 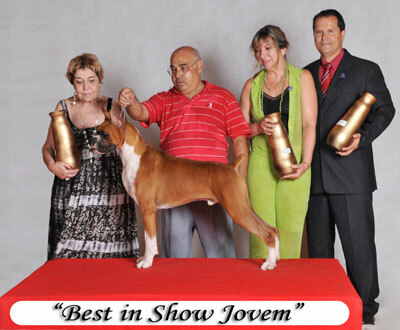 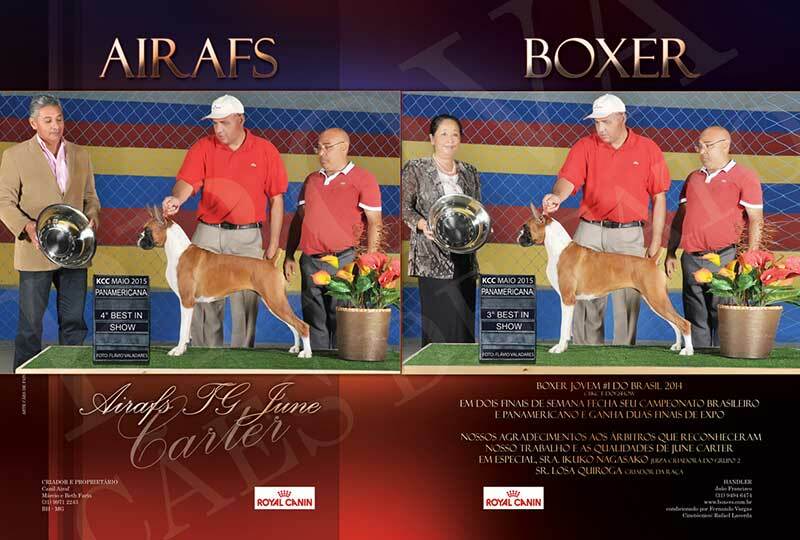 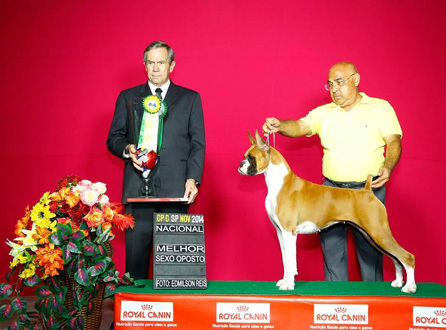 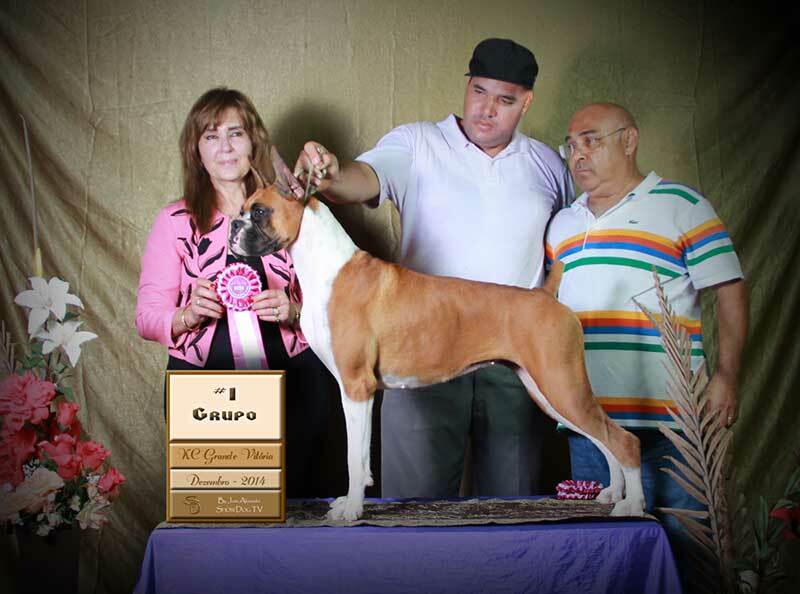 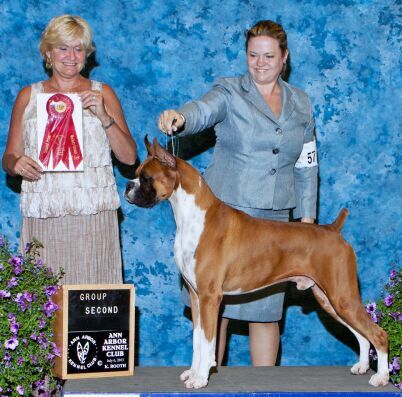 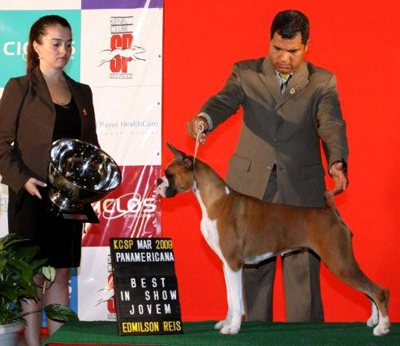 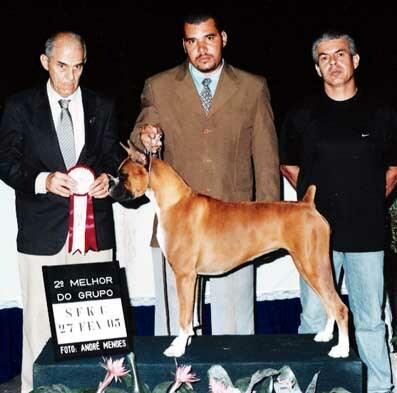 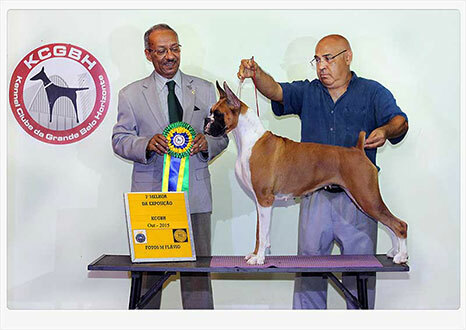 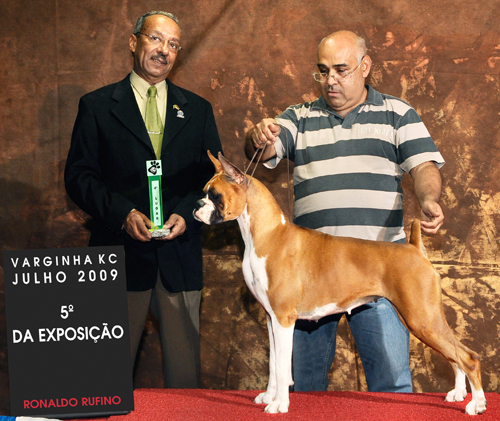 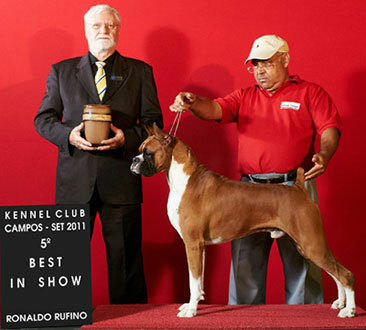 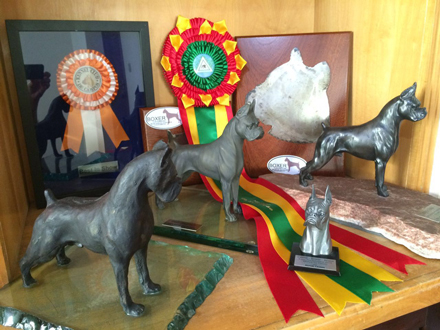 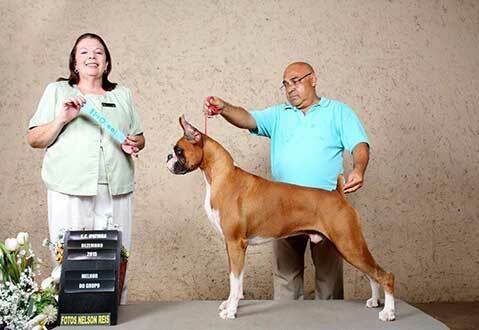 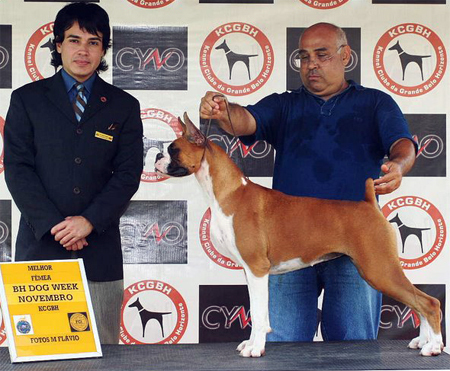 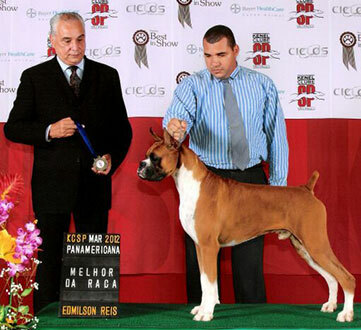 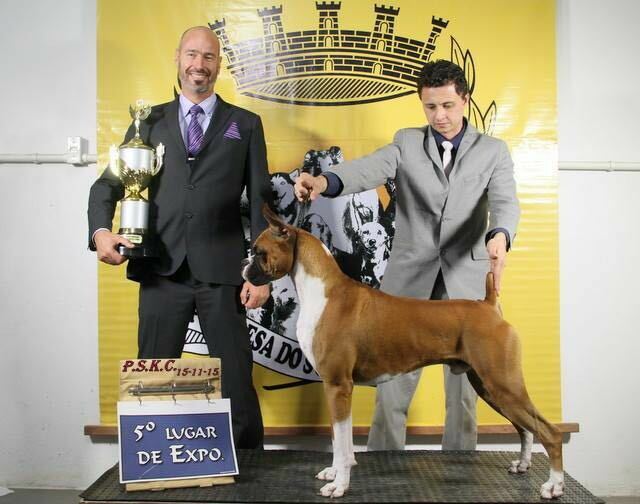 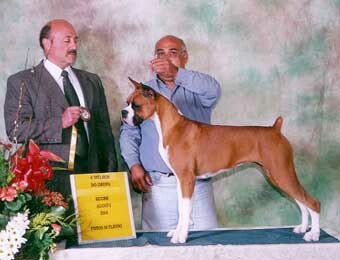 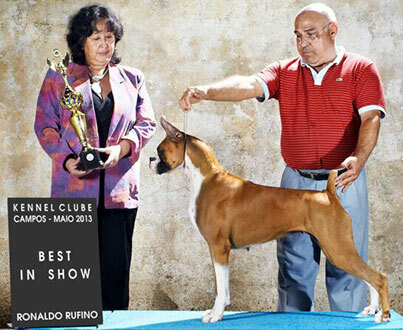 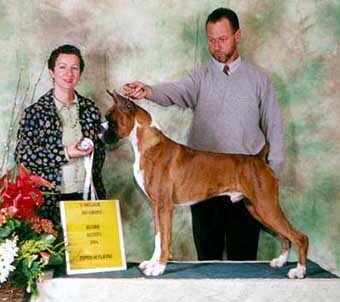 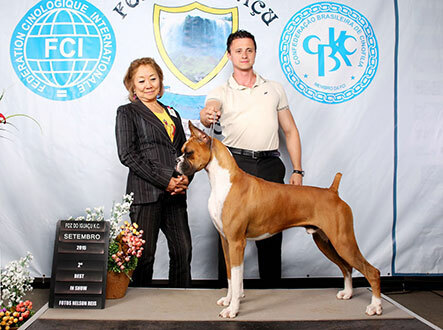 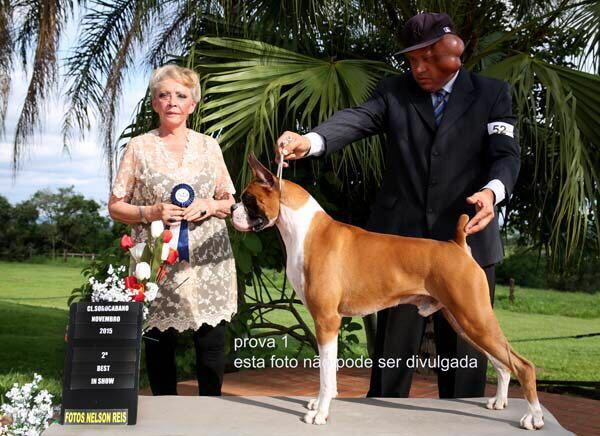 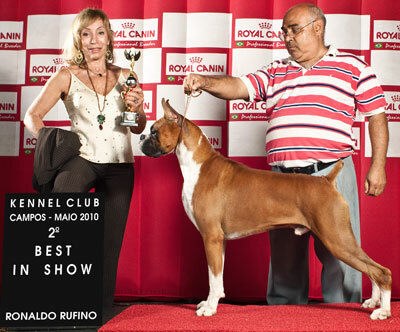 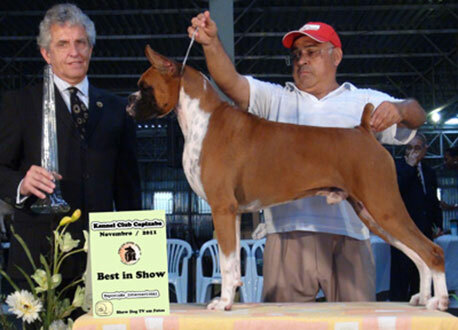 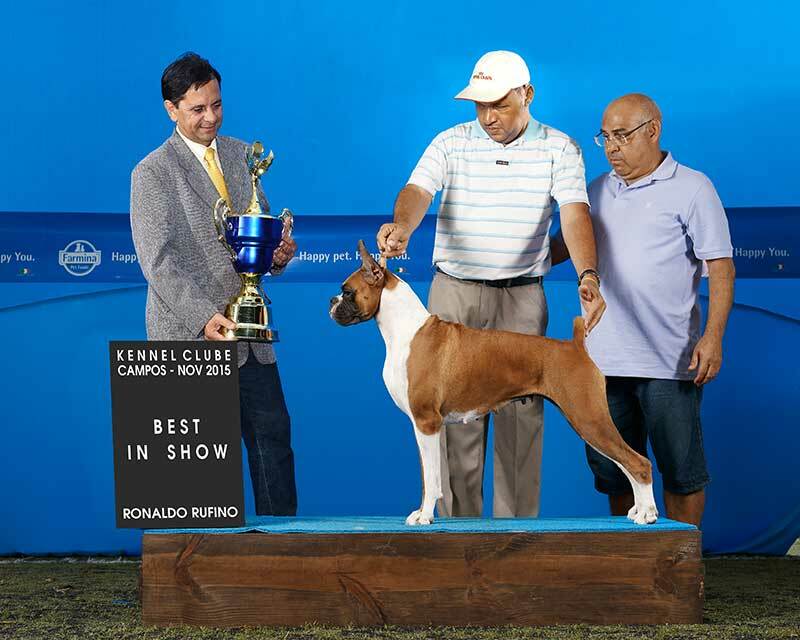 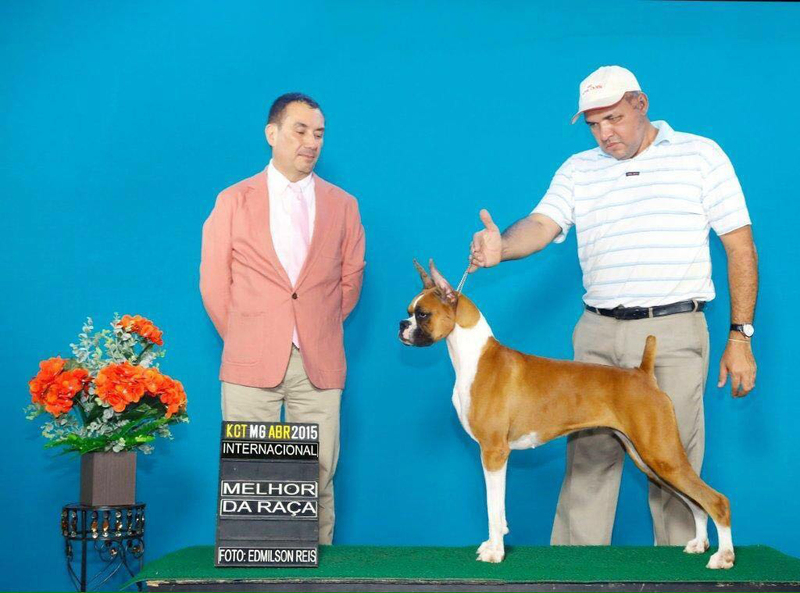 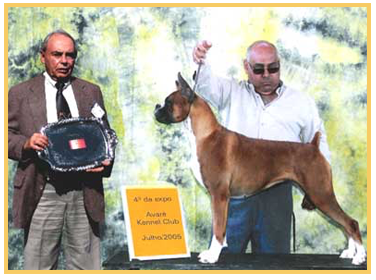 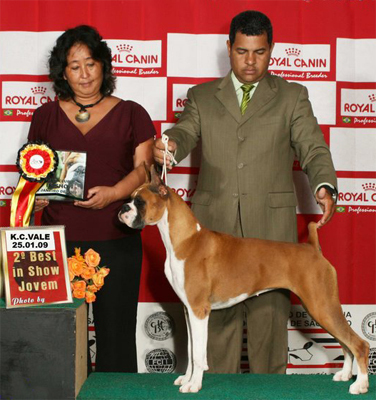 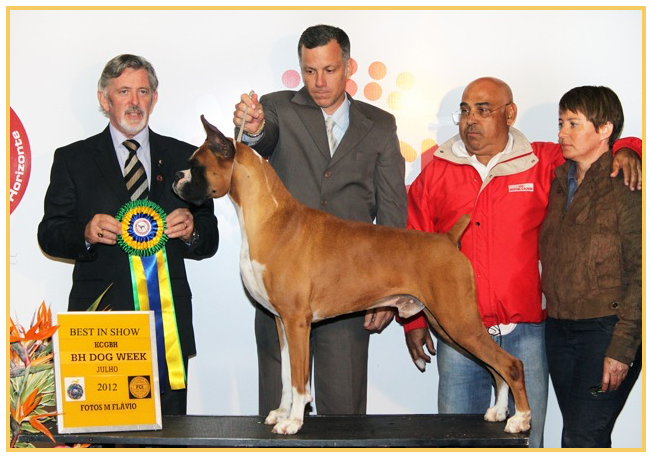 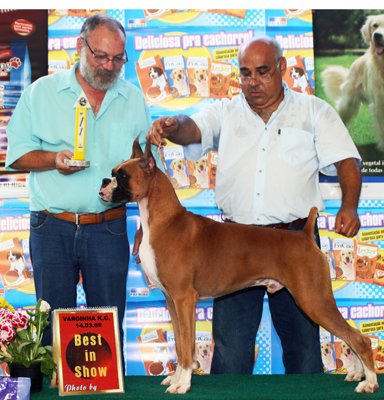 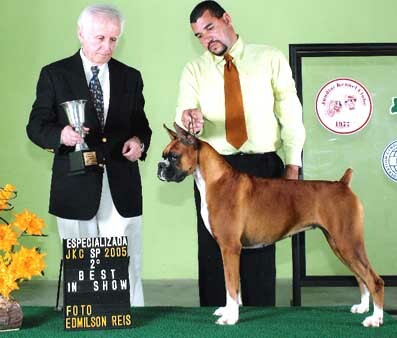 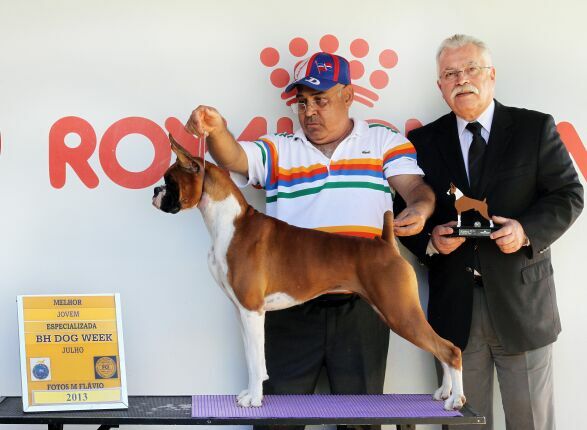 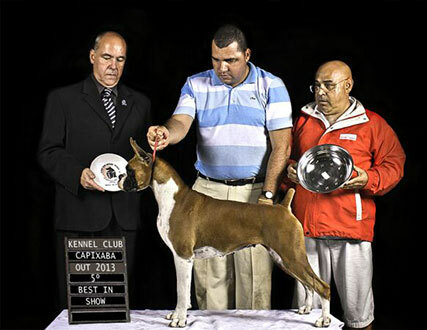 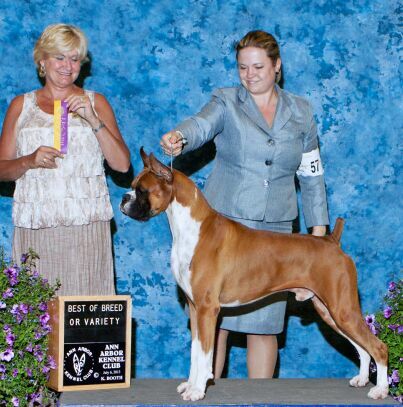 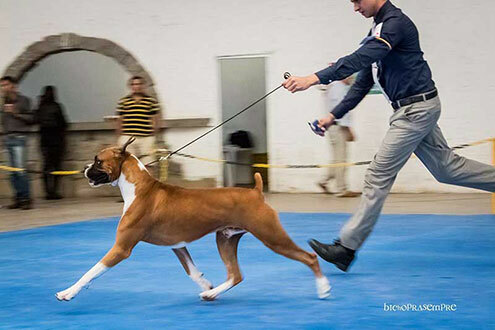 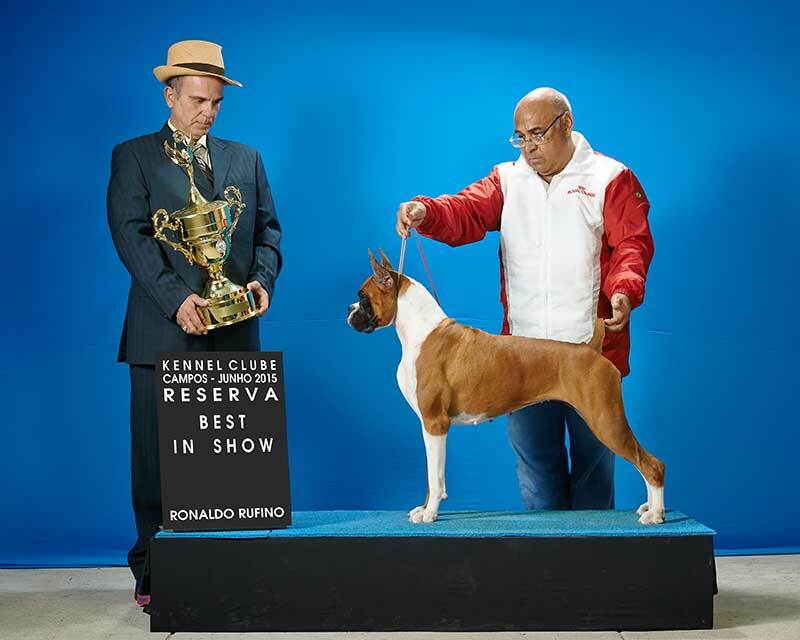 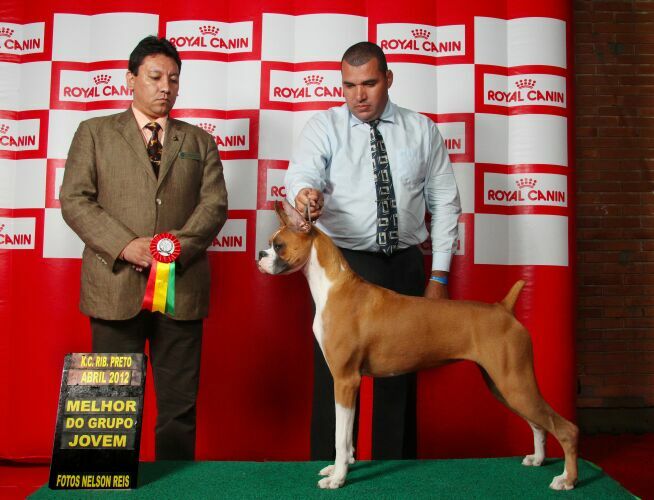 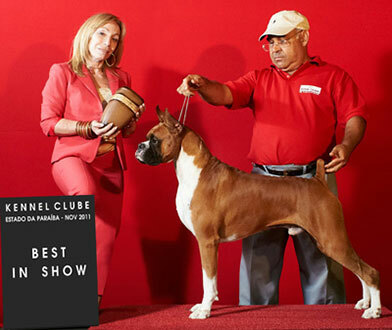 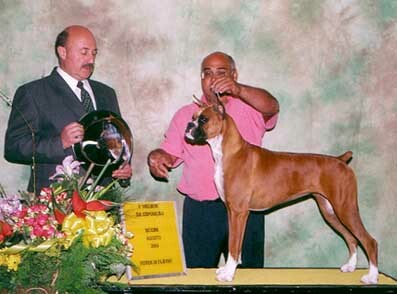 Larissa goes Puppy Best In Show at the Second Brazilian Boxer National !!! 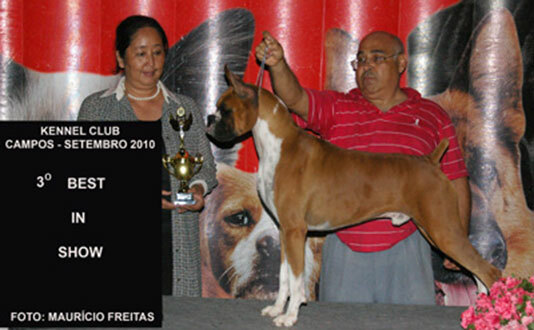 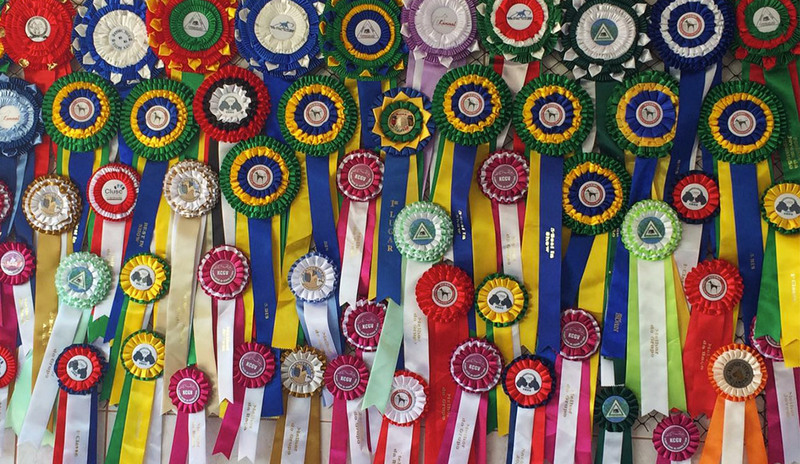 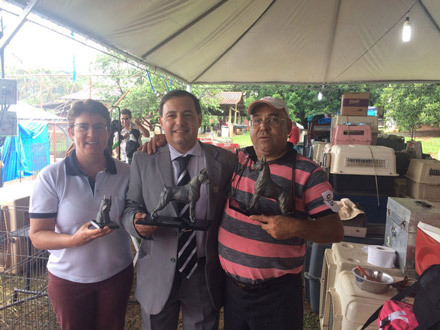 At the same circuit in Avaré, Brazil Athina wins a BIS, 5th BIS and 4th BIS !!! 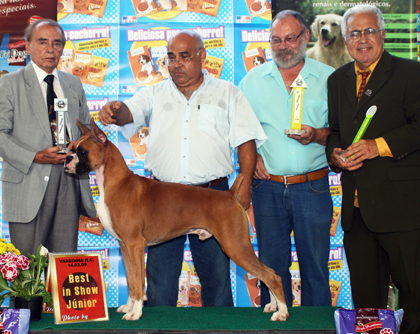 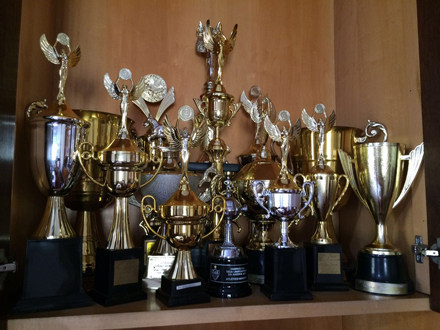 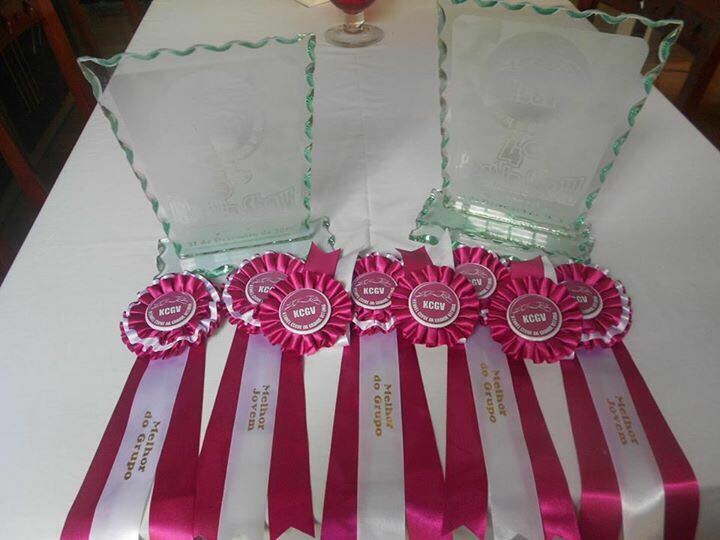 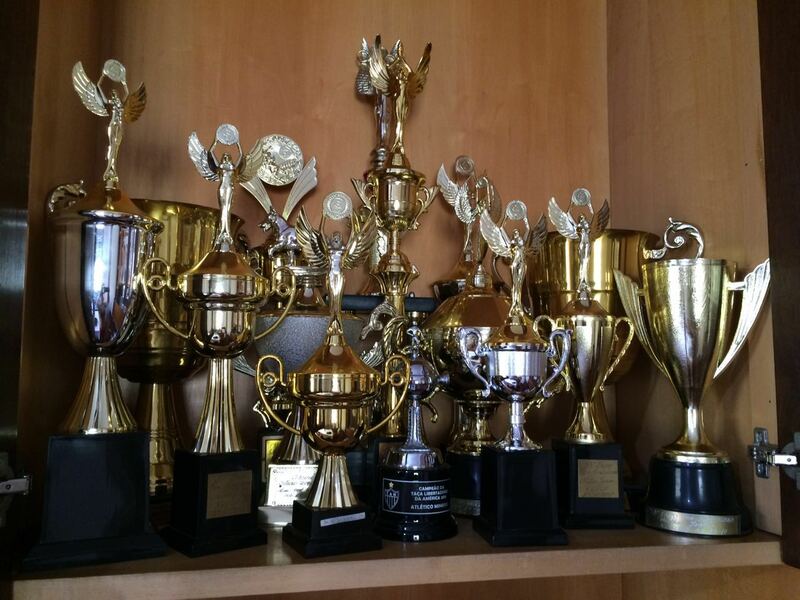 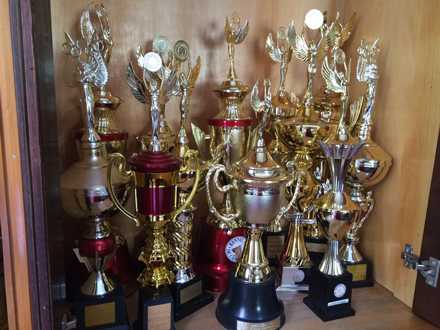 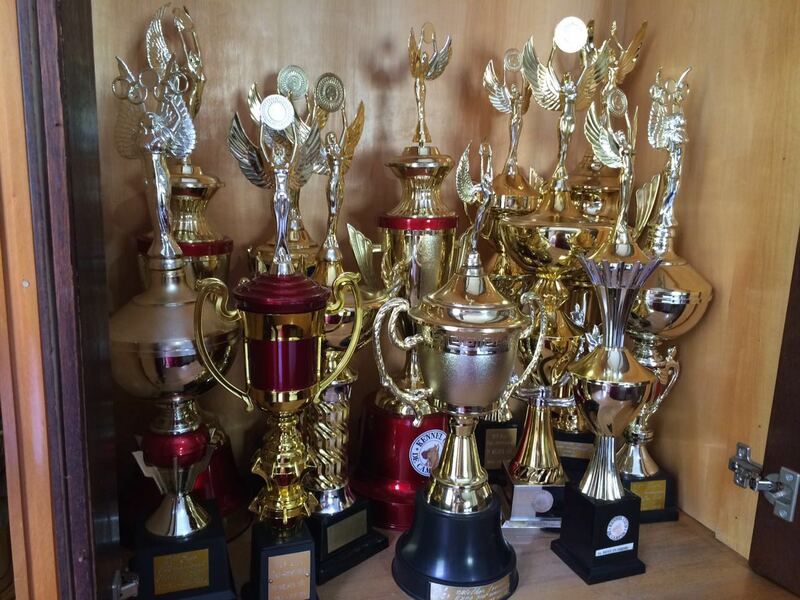 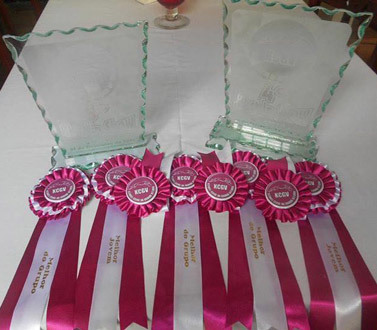 In the city of Diamantina Athina places another BIS and a BIS 3rd!!! 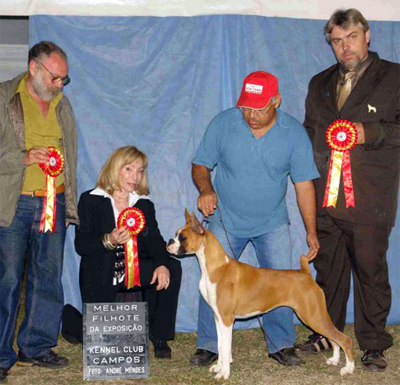 Athina winning a BIS 2nd at a Soecialty show. 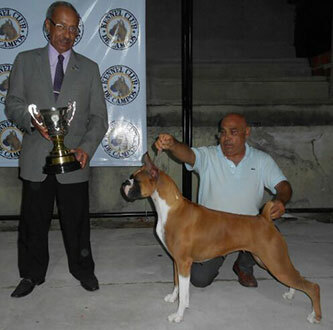 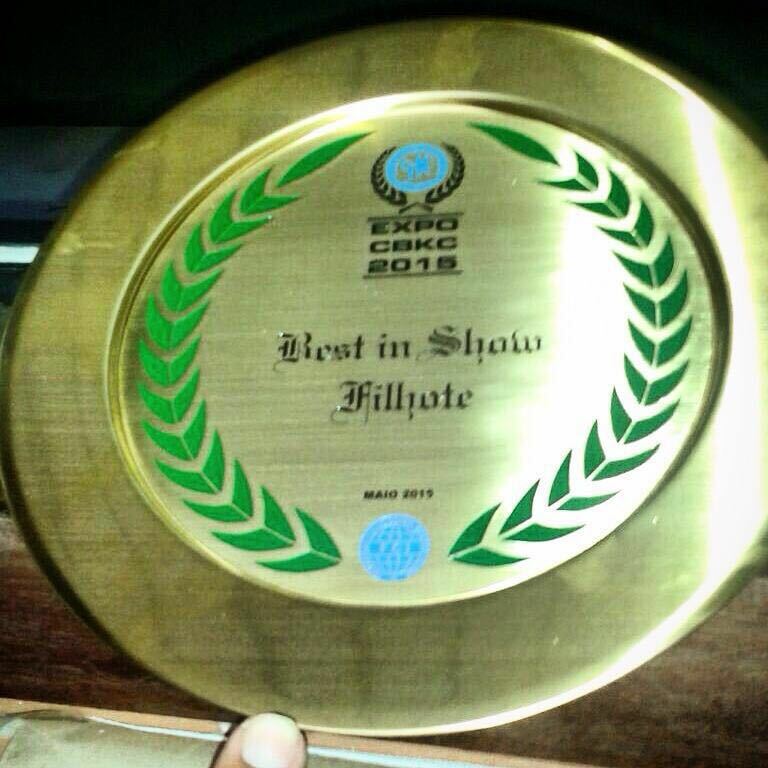 Athina winning a Grup Second. 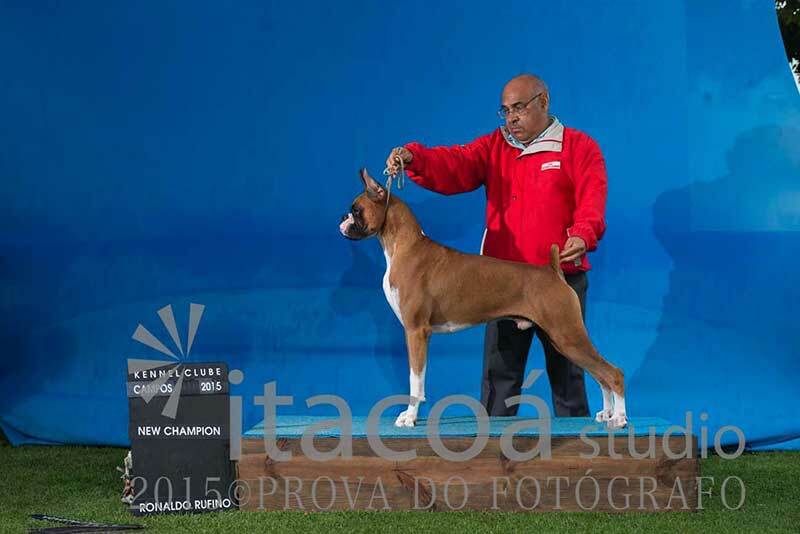 Another Group Second for Athina. 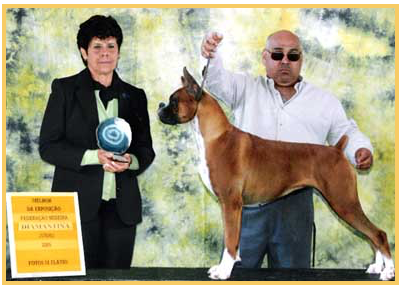 Athina placing a BIS 4th. 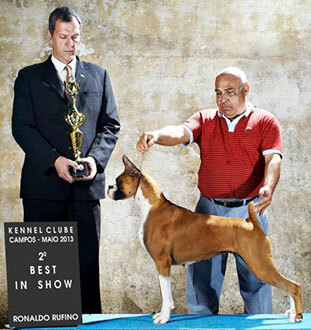 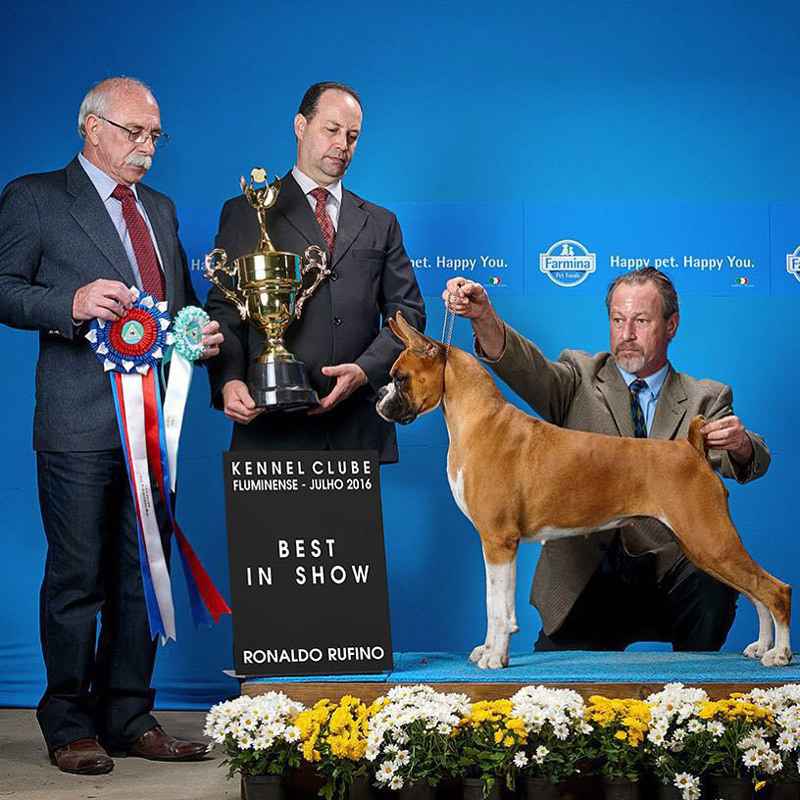 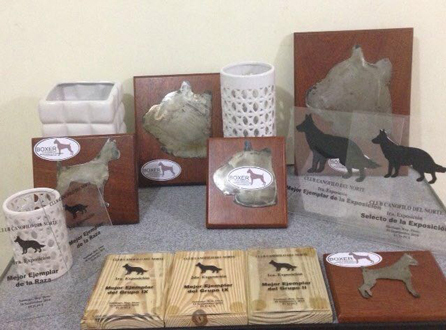 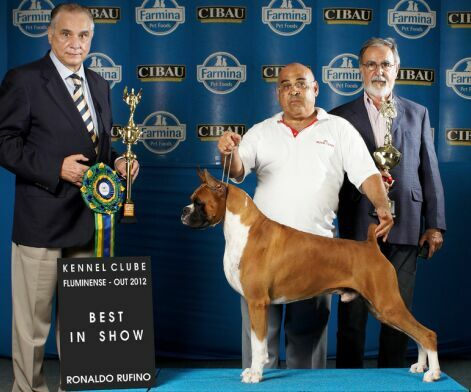 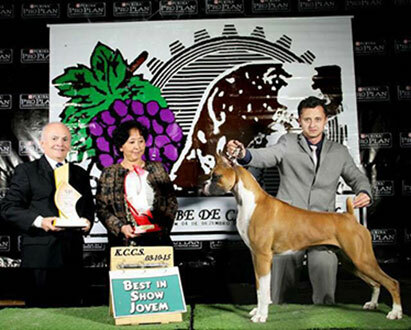 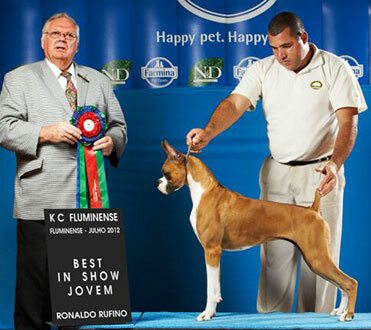 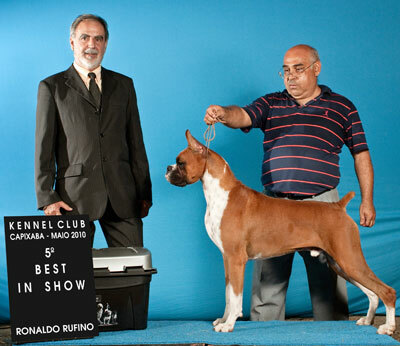 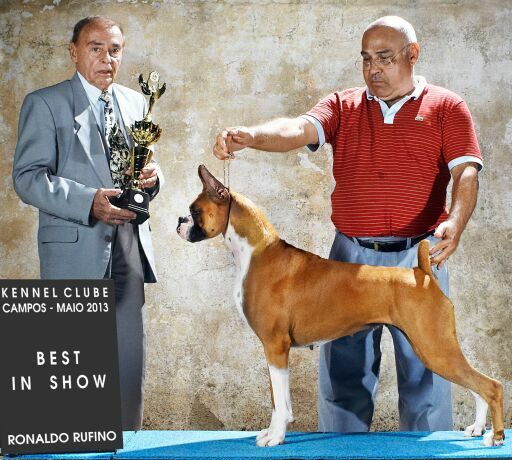 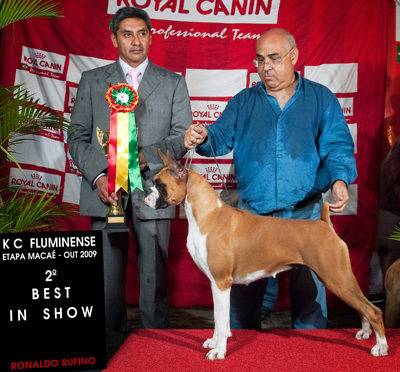 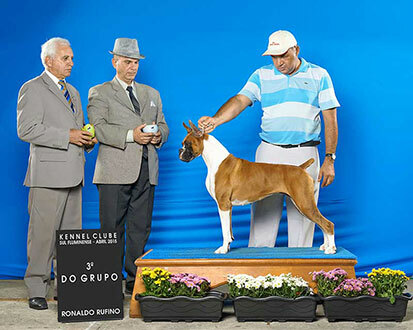 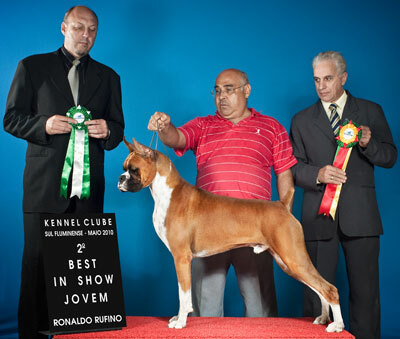 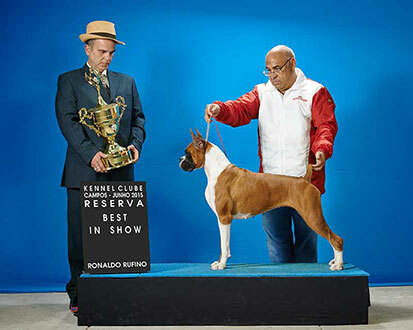 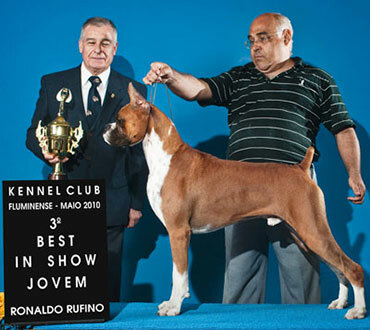 Puppy Best in Show for Zoé at KCGBH, Belo Horizonte, Brazil. 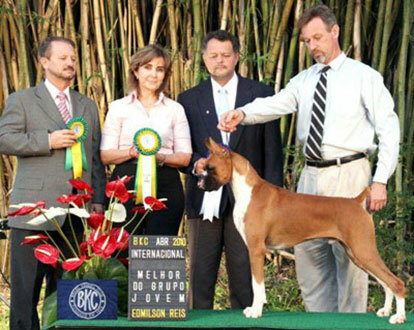 Puppy Best in Show for Gabi. 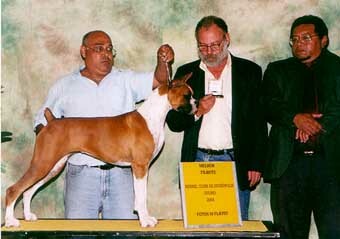 Gabi placing a Group 4th. Aristizabal taking a Group 2nd. 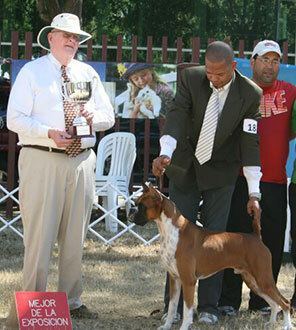 Aristizabal placing a Group 3rd.